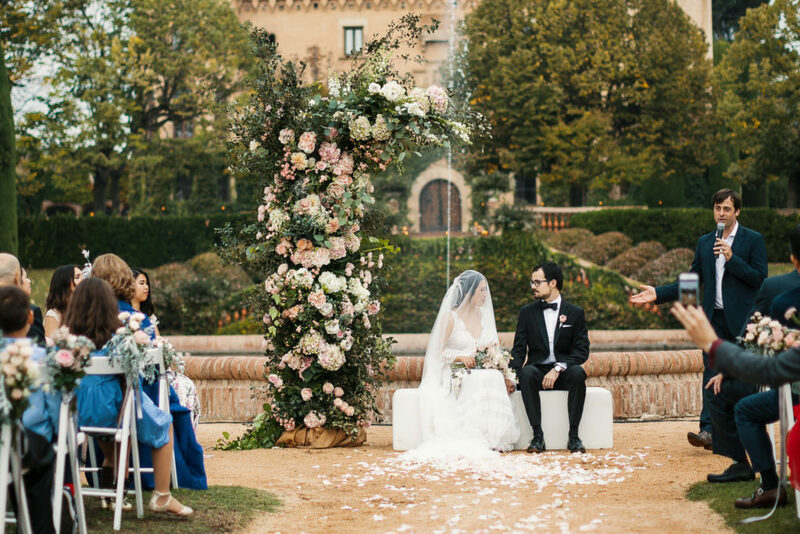 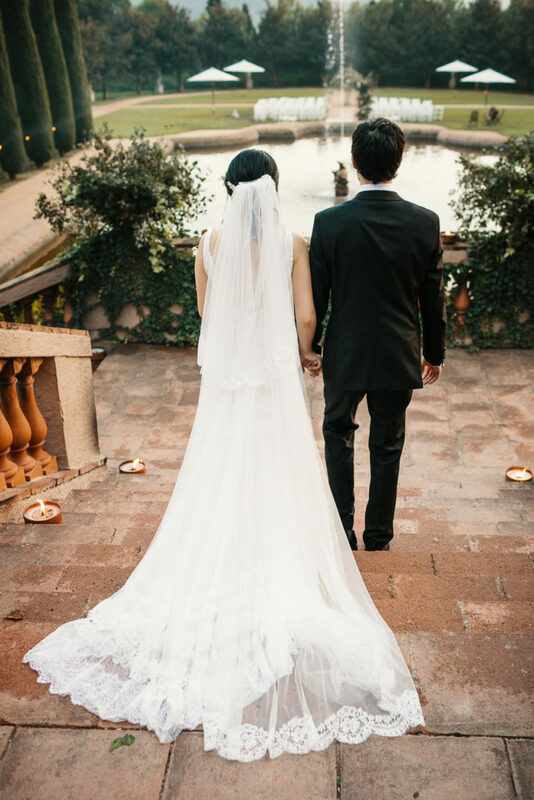 Romantic Barcelona wedding. 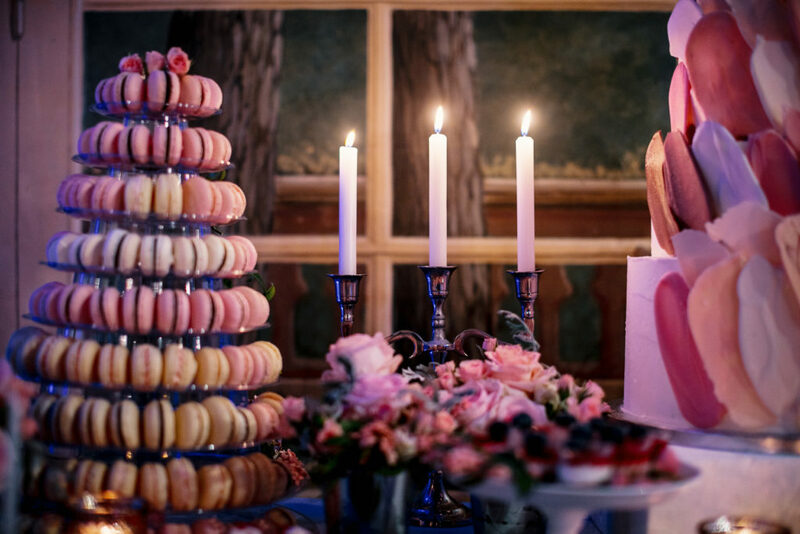 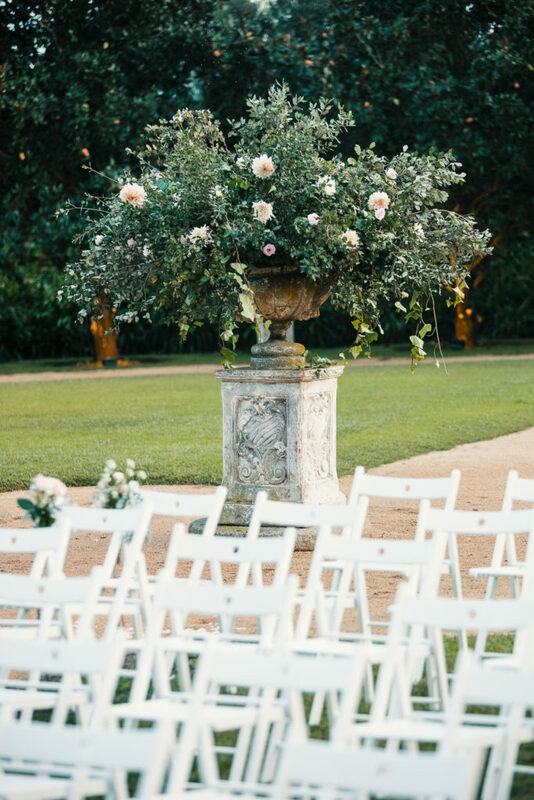 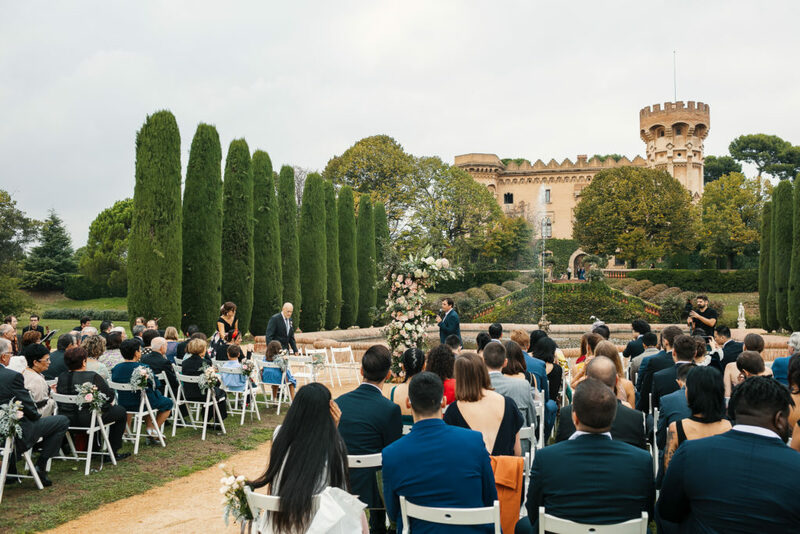 If you need wedding planner in Spain, BarcelonaBrides is here to help you out. 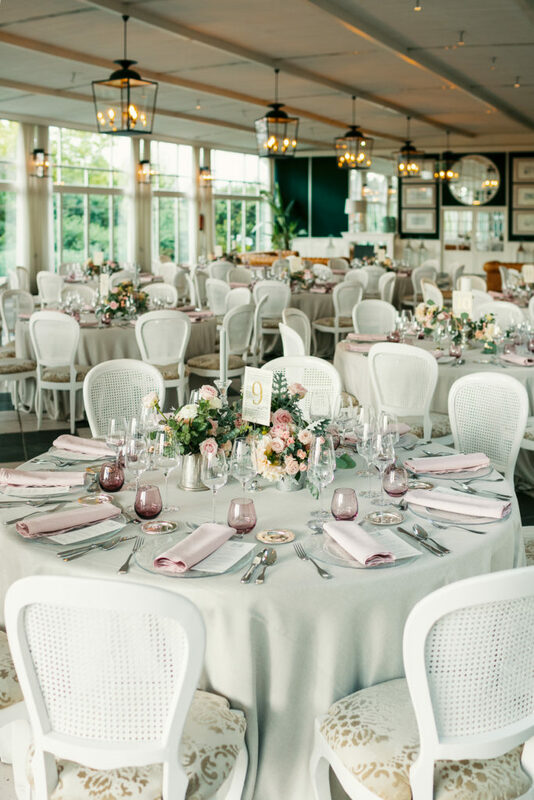 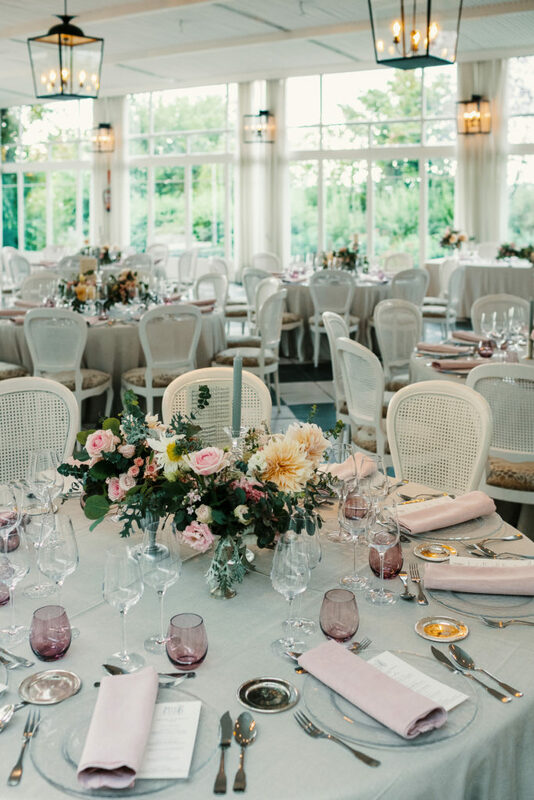 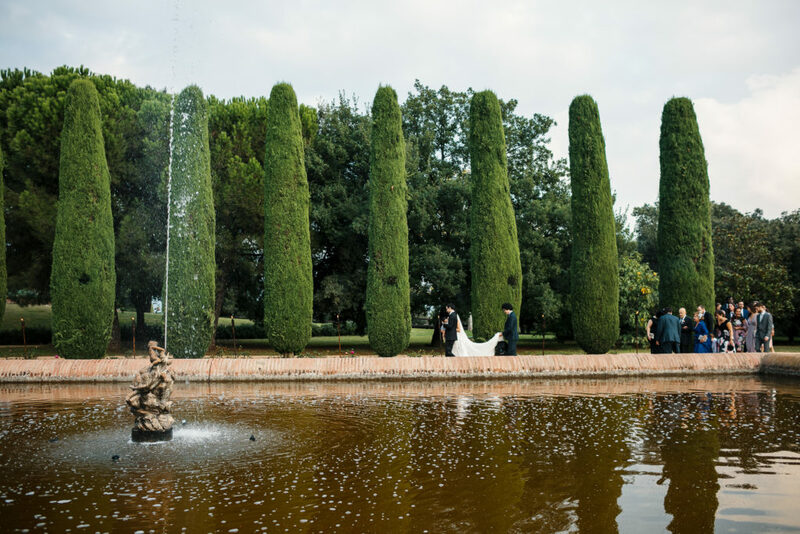 We love to plan with you your dream wedding! 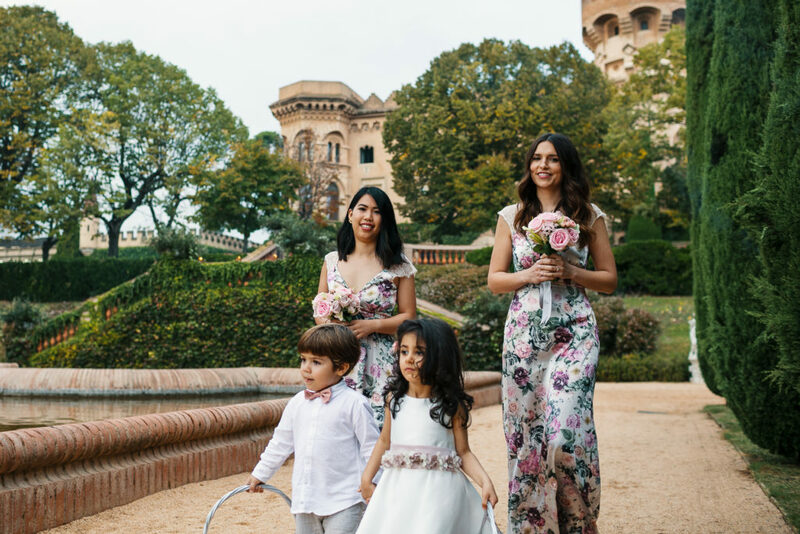 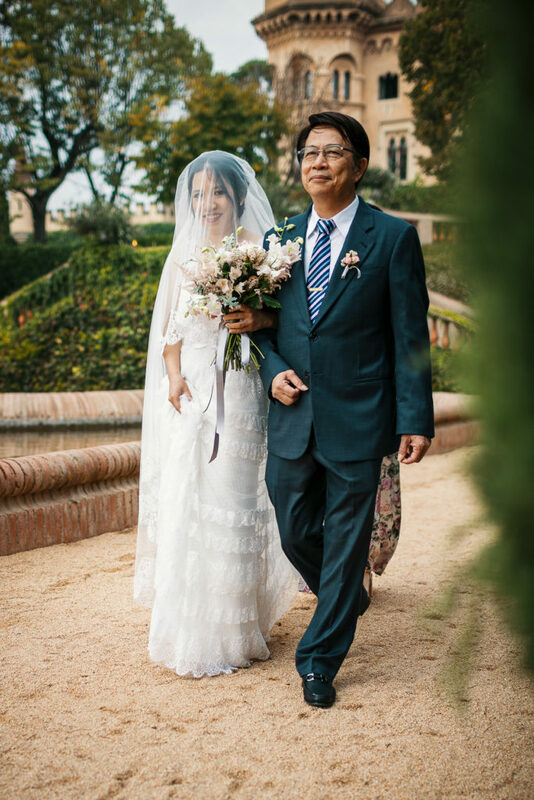 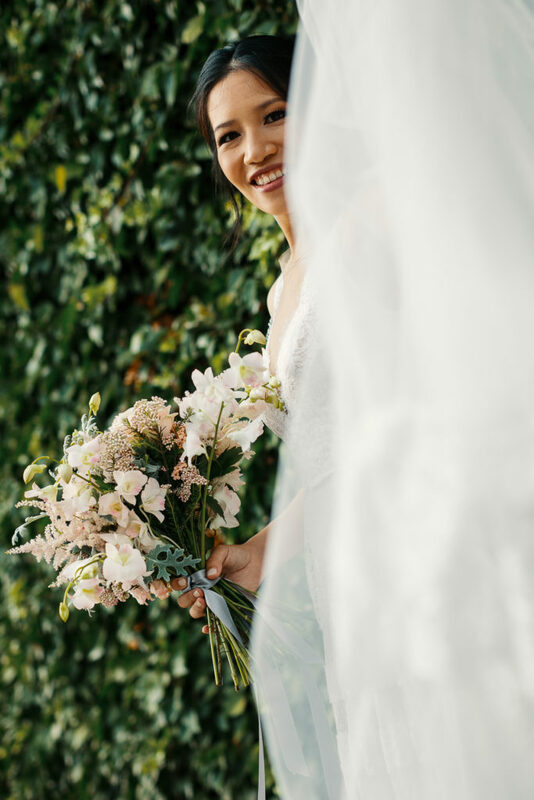 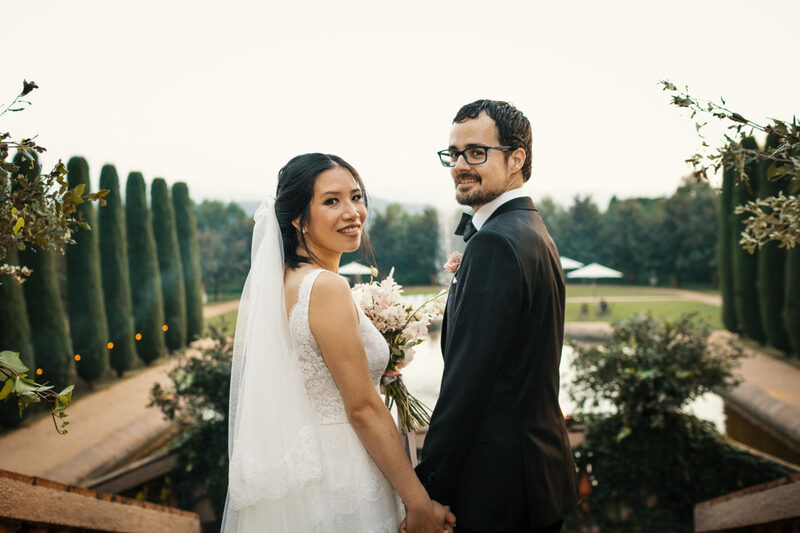 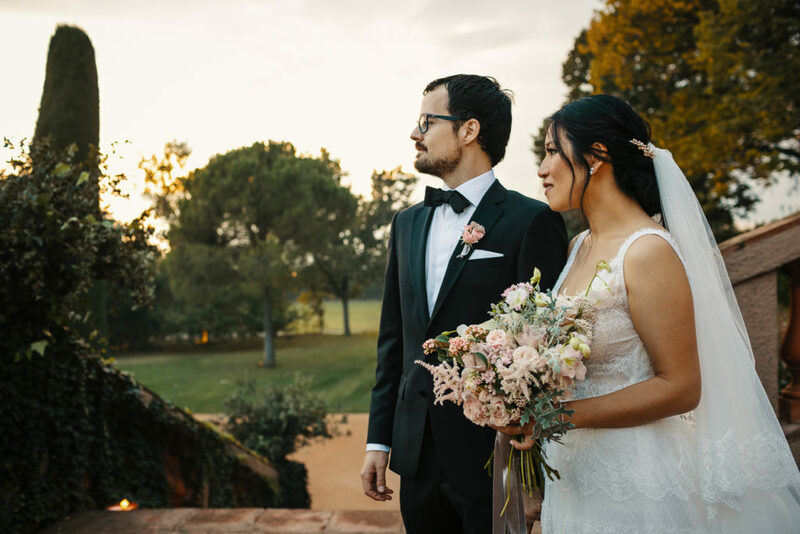 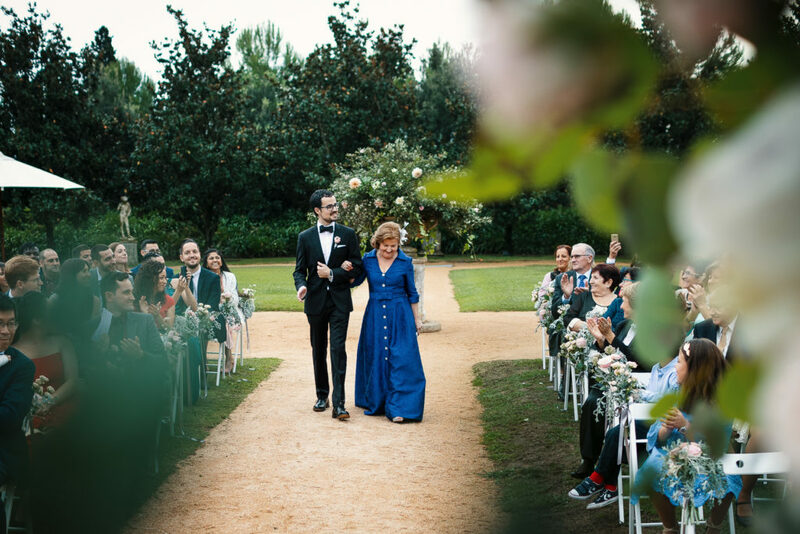 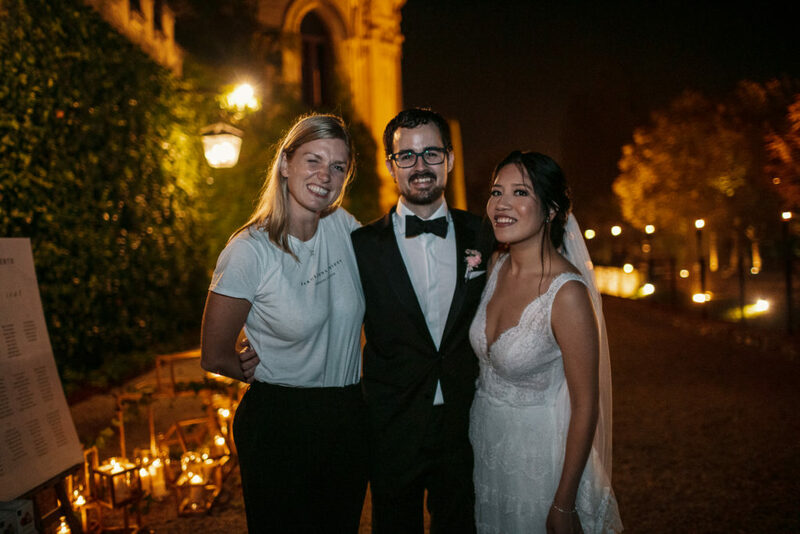 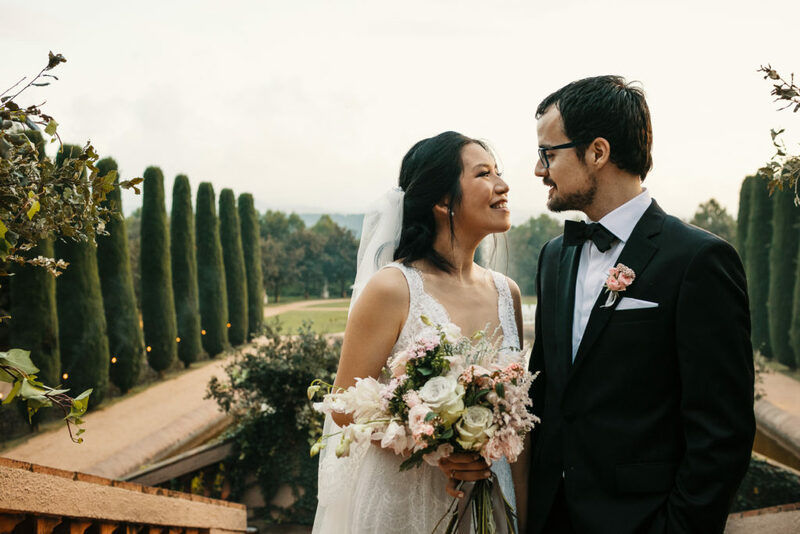 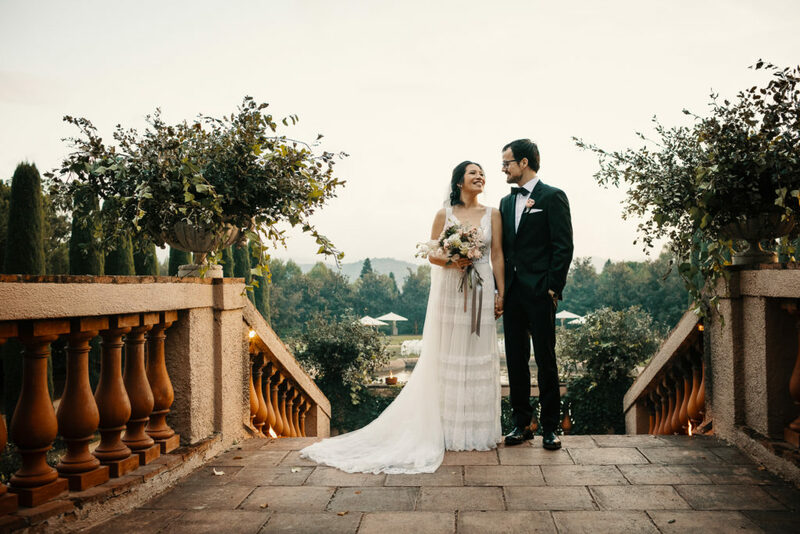 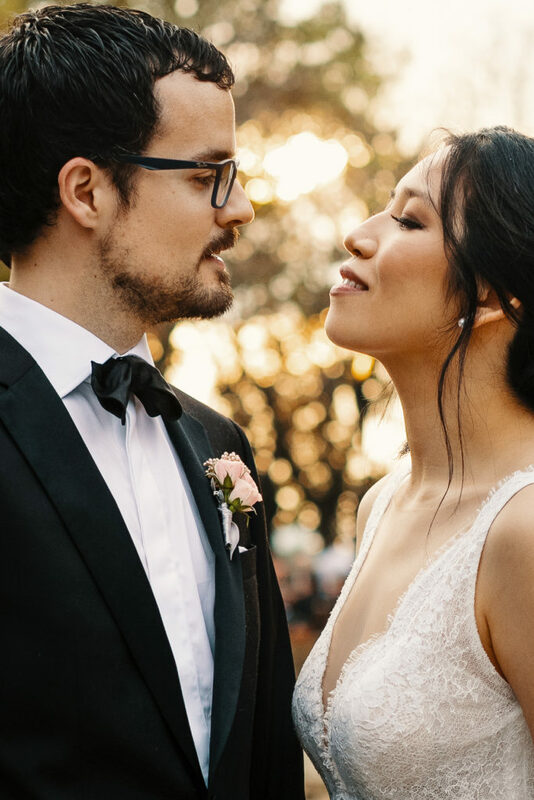 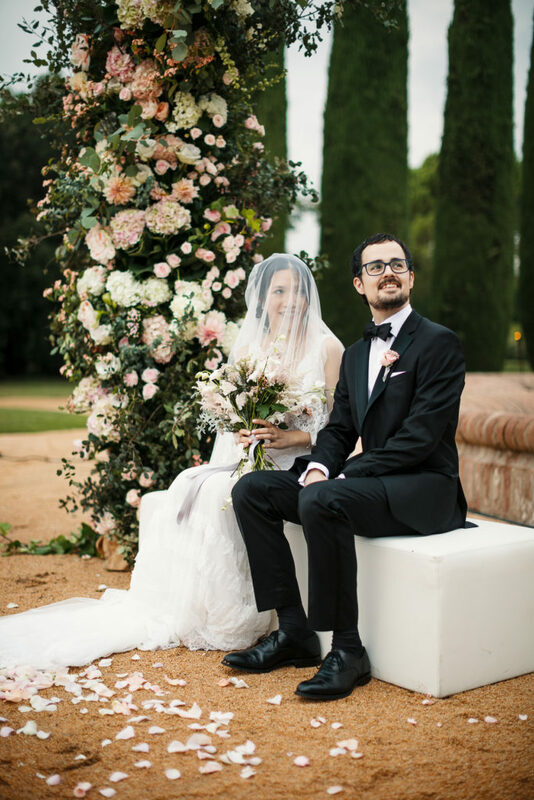 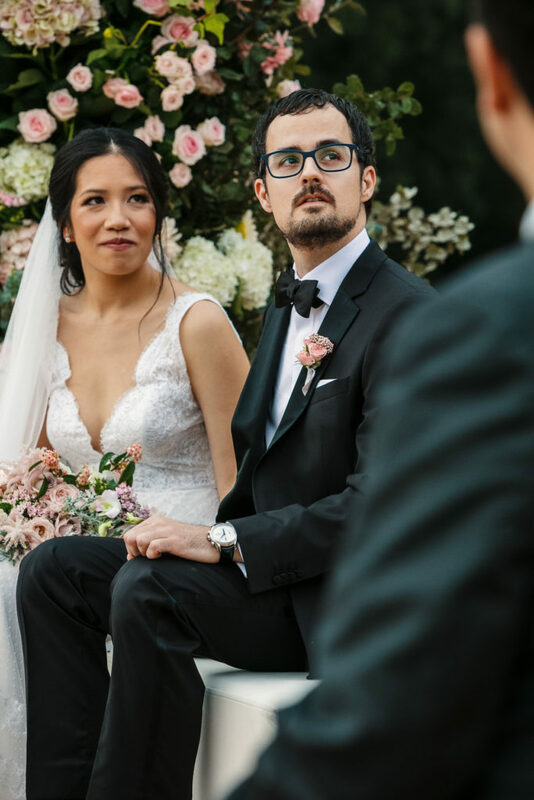 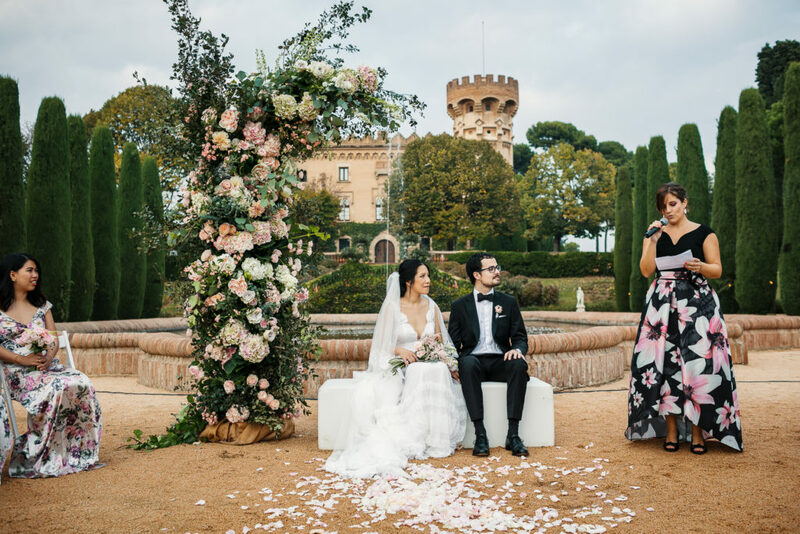 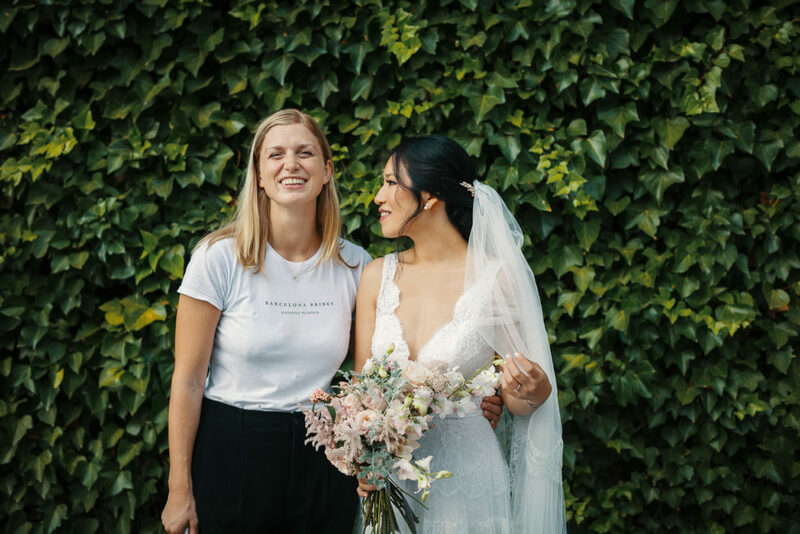 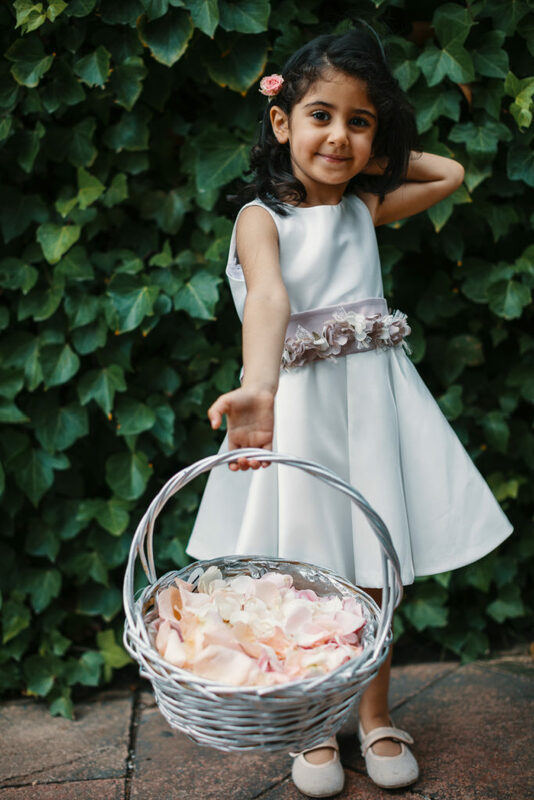 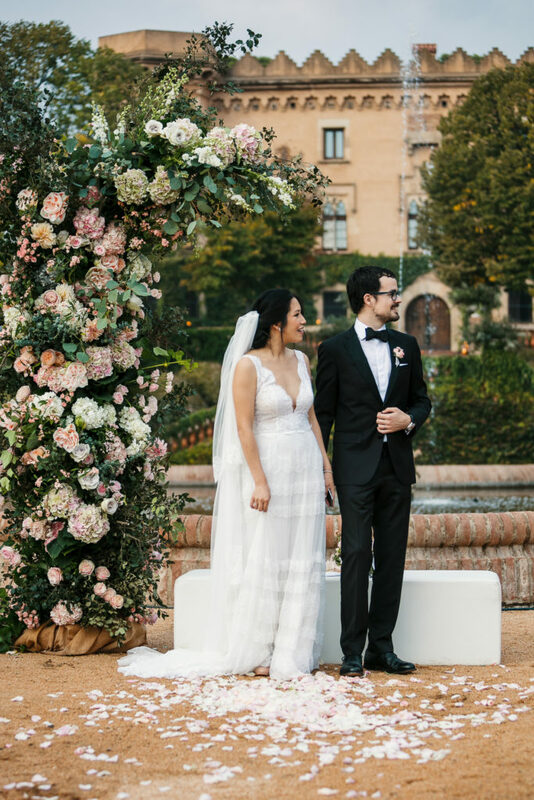 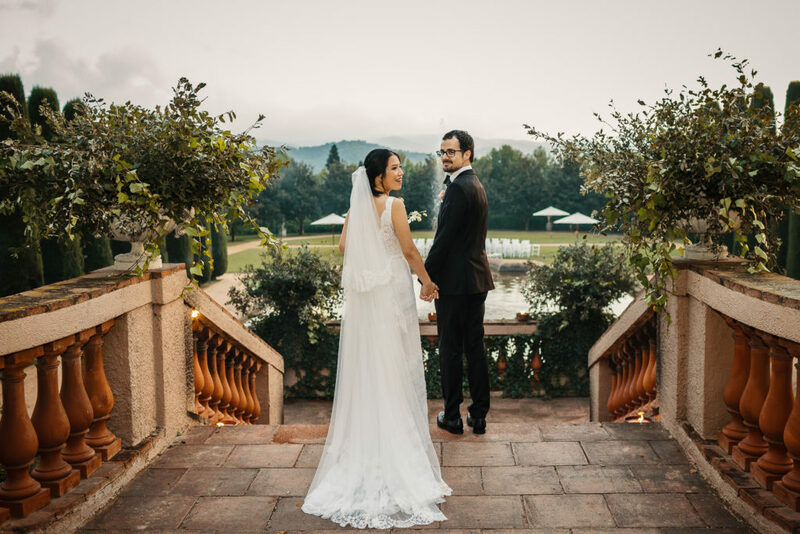 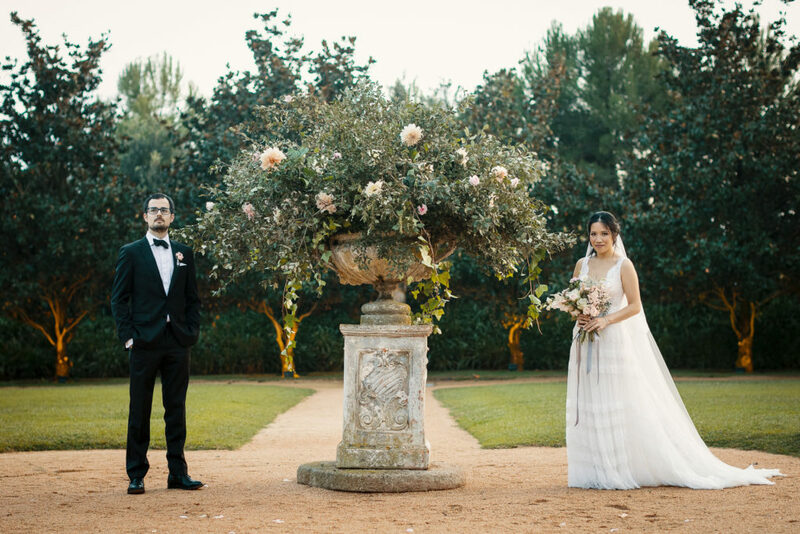 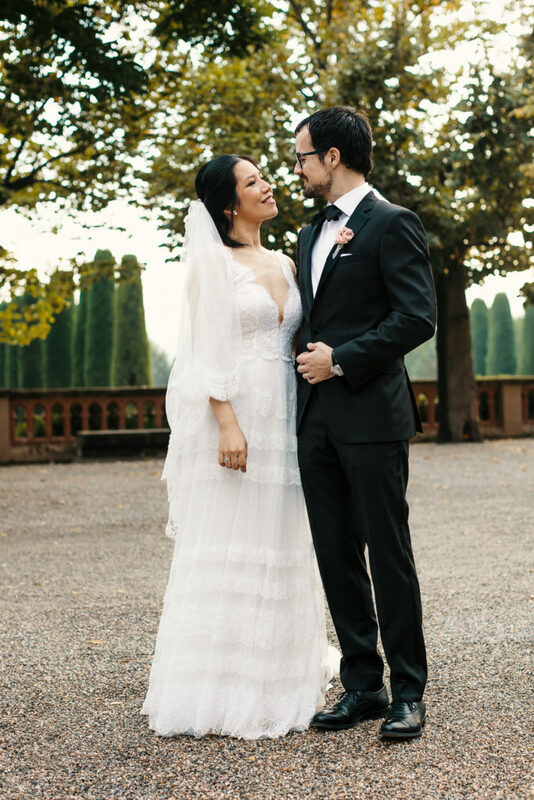 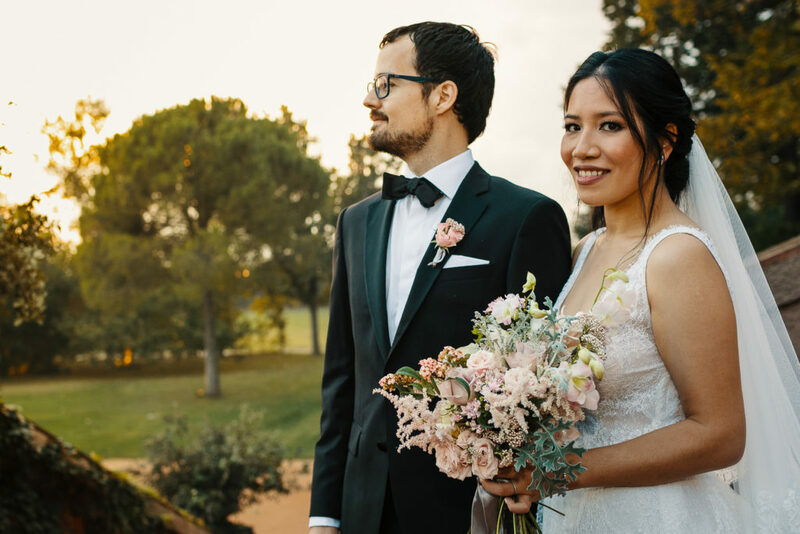 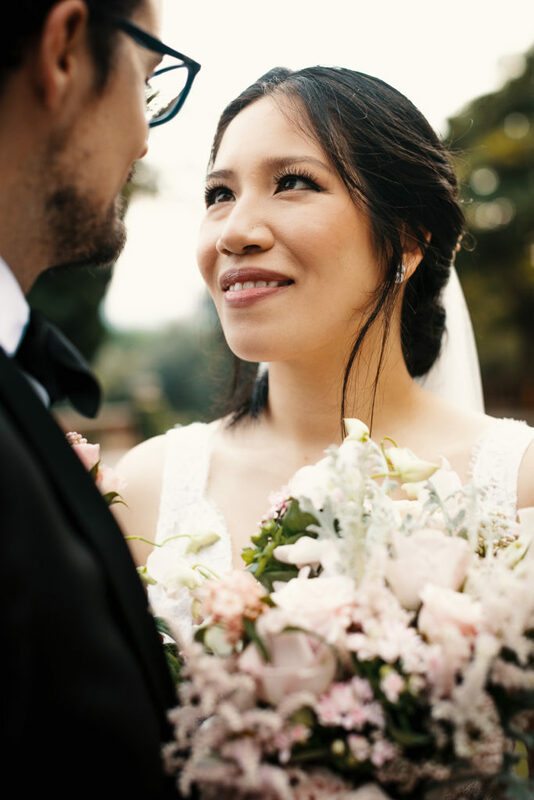 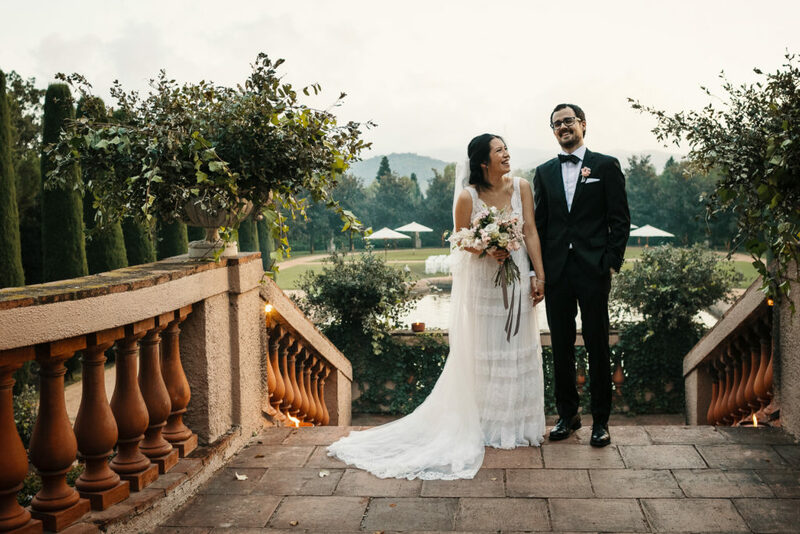 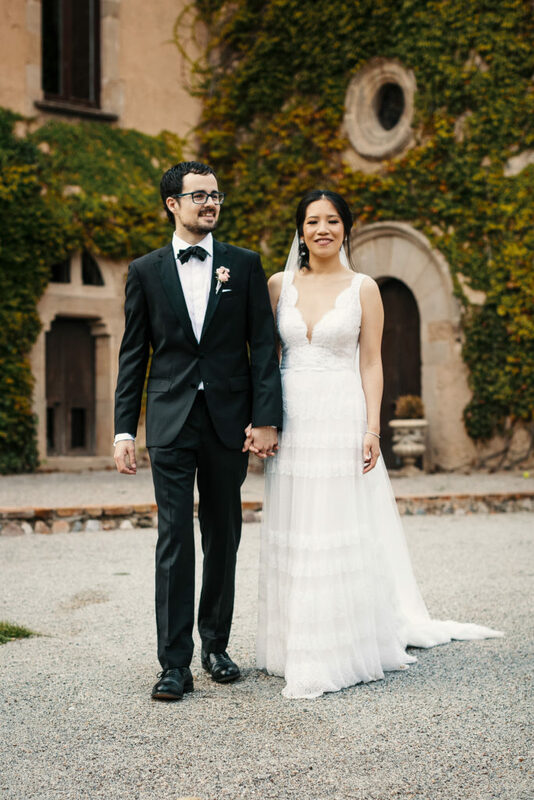 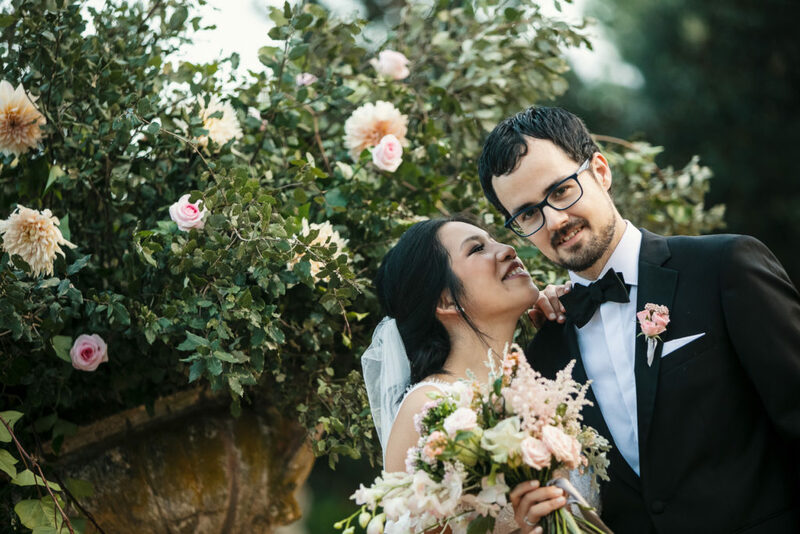 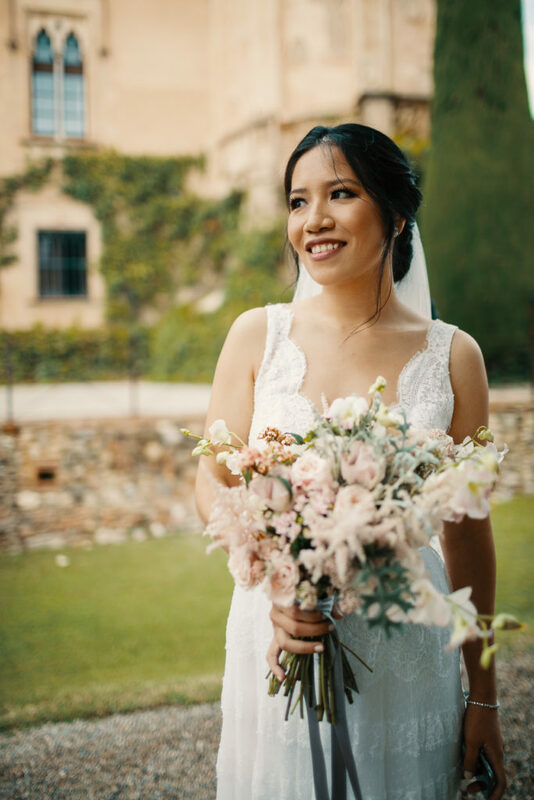 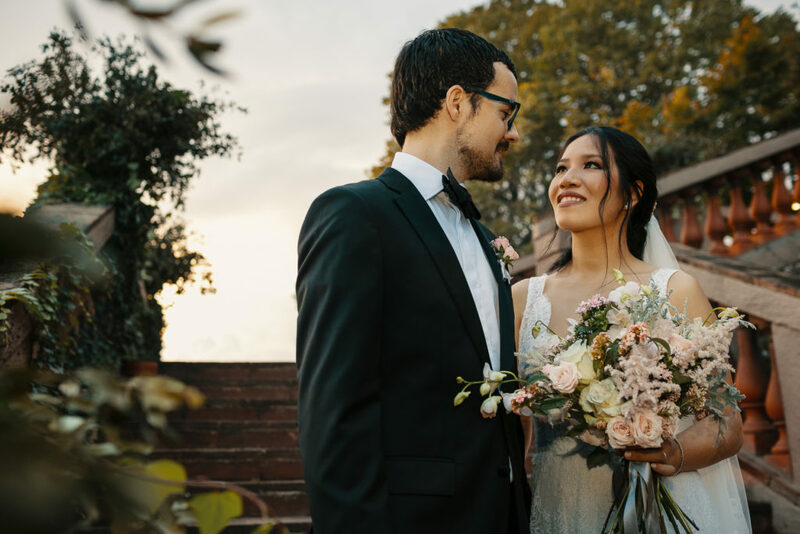 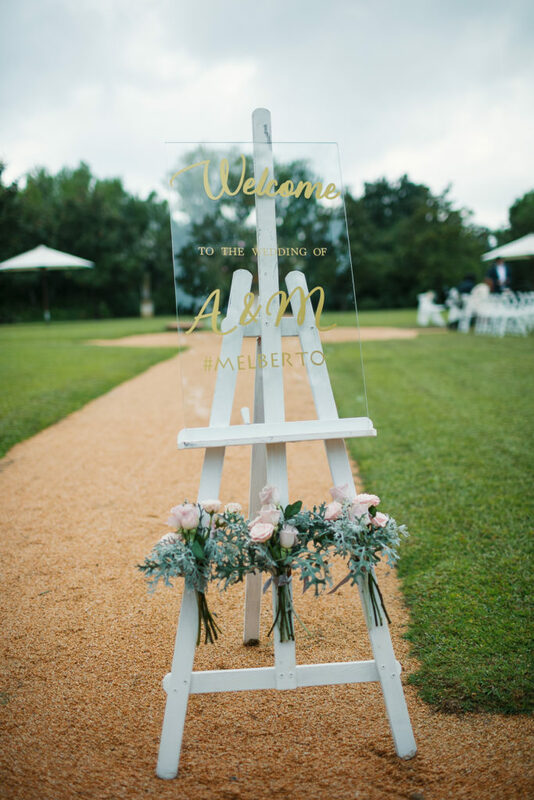 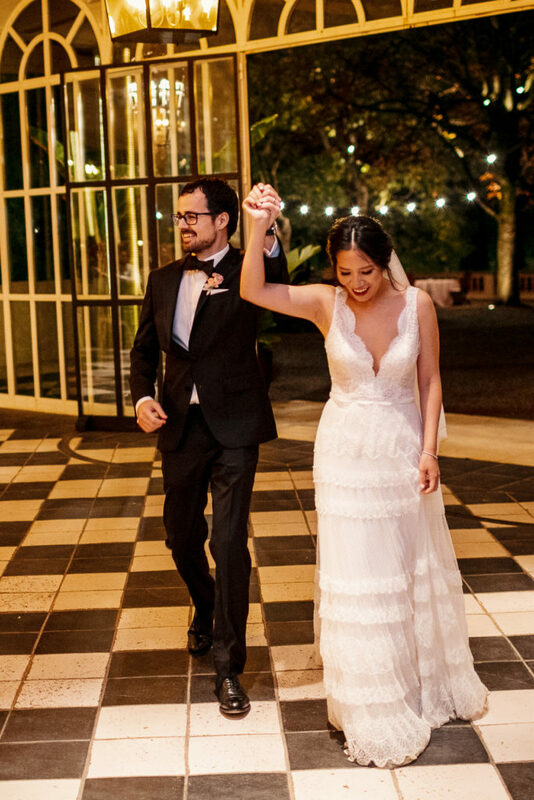 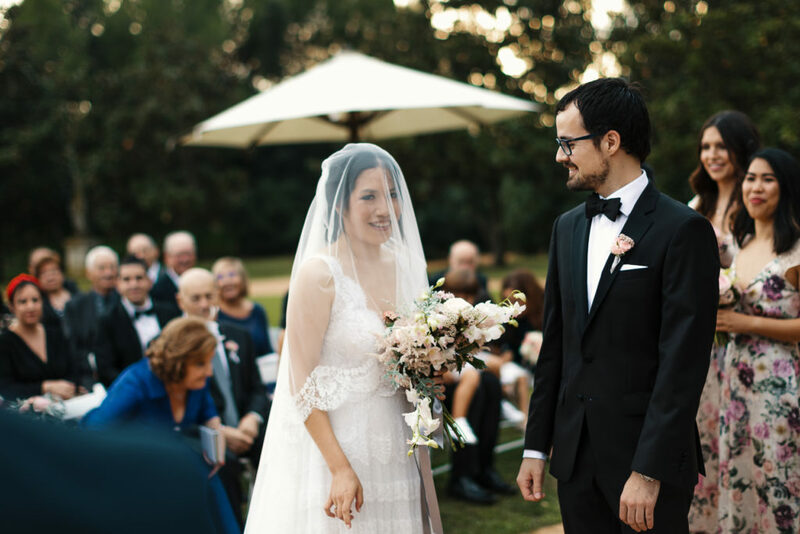 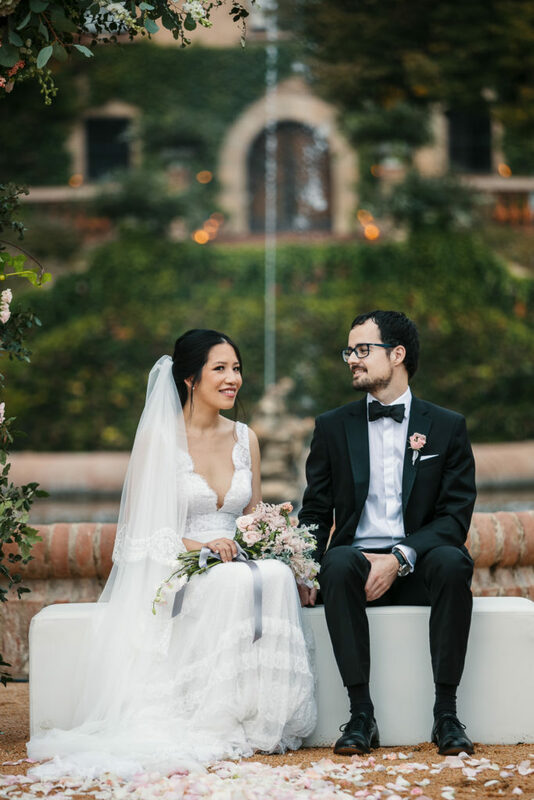 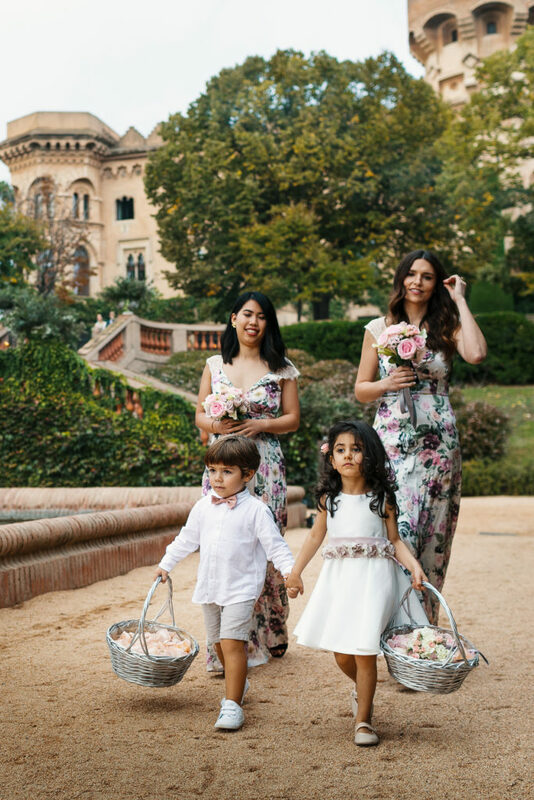 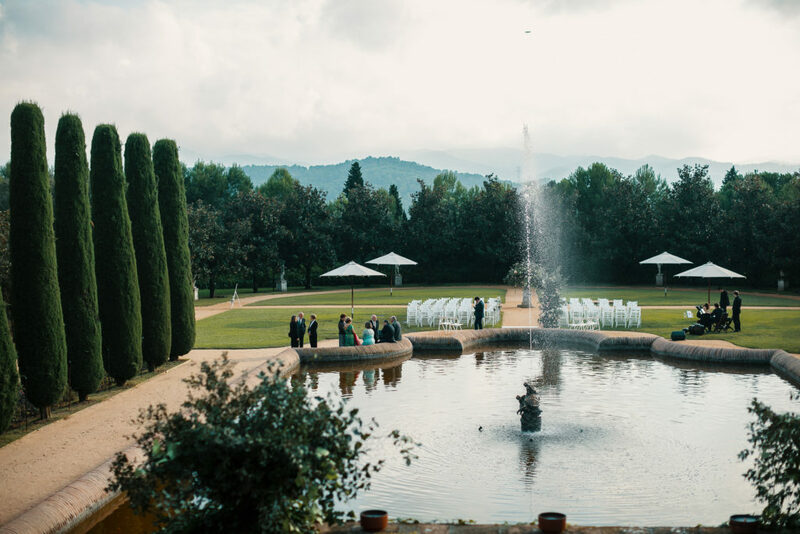 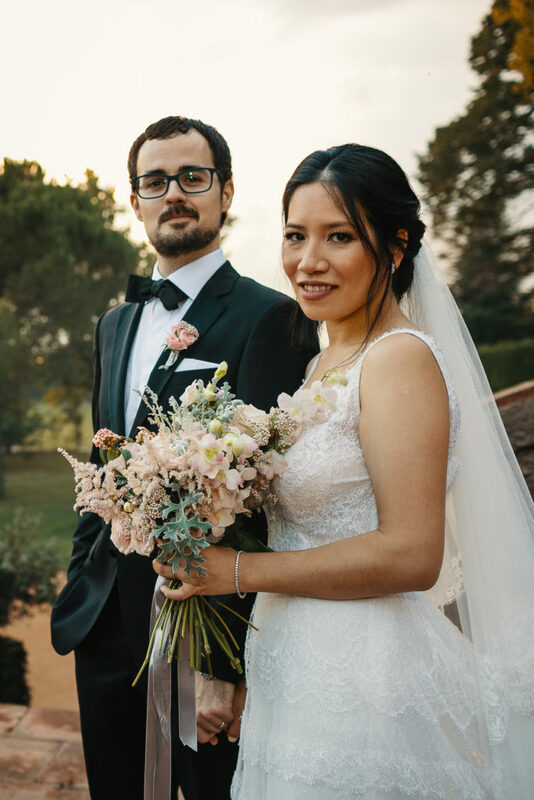 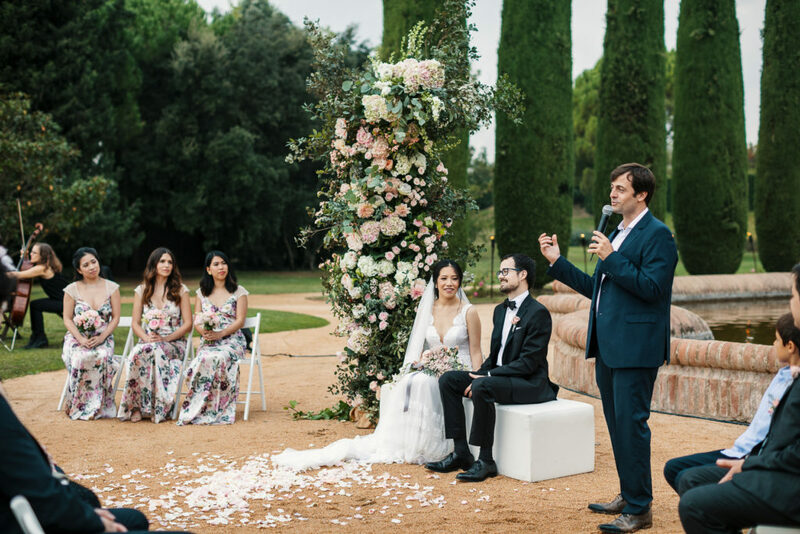 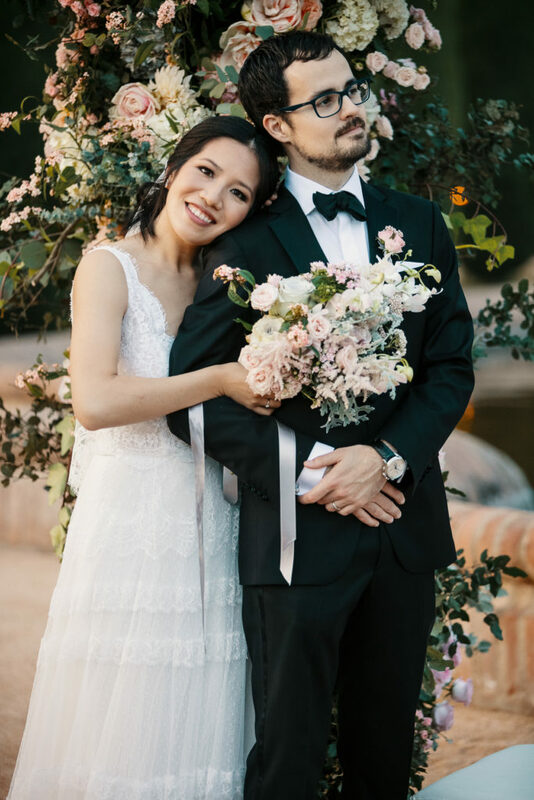 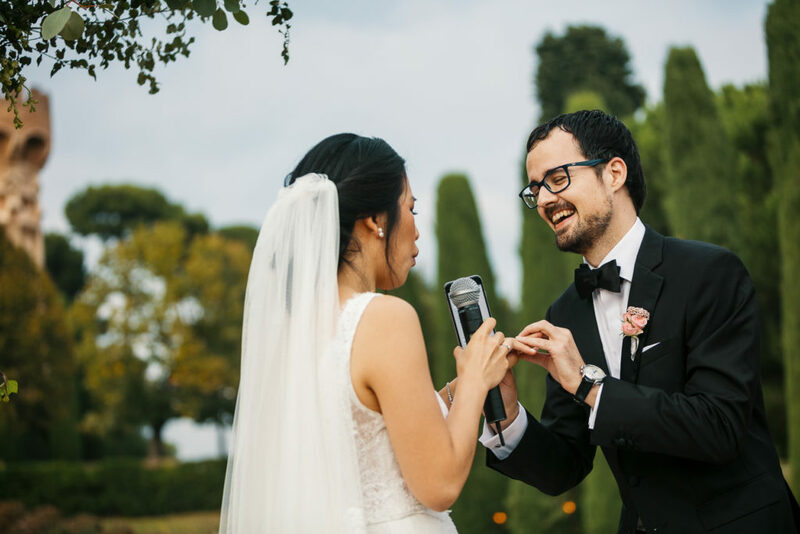 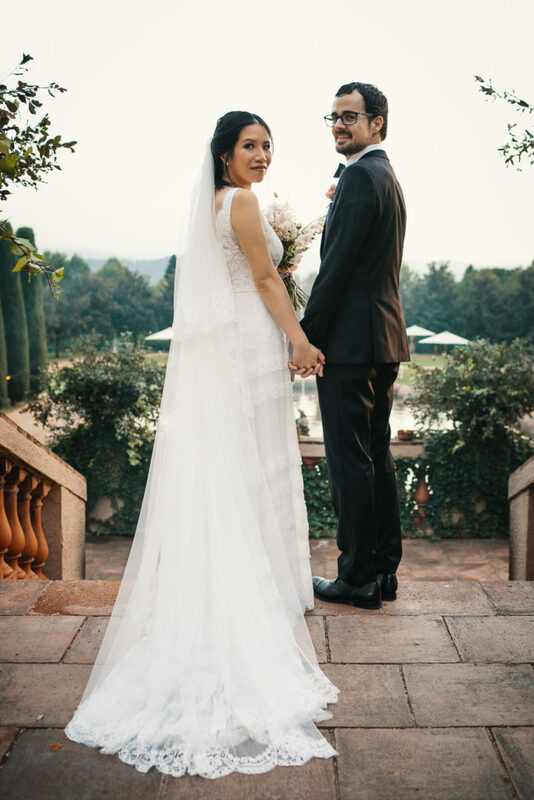 We love this destination Barcelona wedding so much we got out dream bride Melody to stop by and tell us all about it. 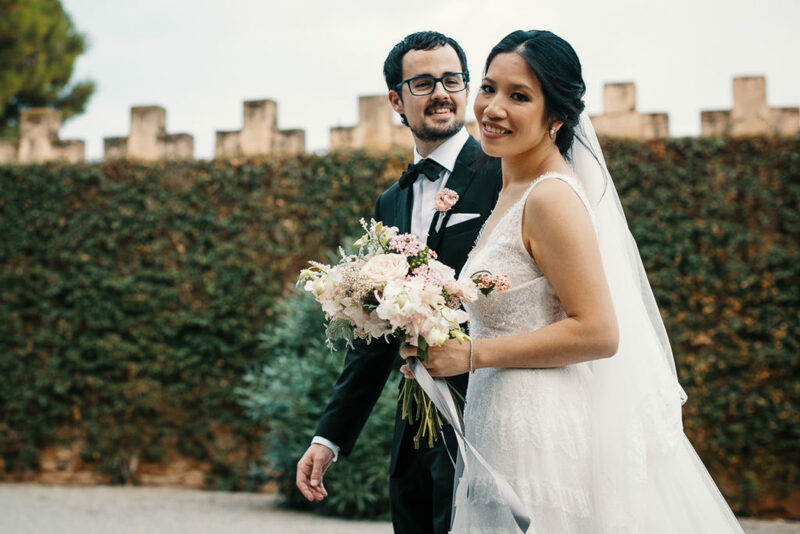 Melody, describe your Barcelona wedding day in 3 words! 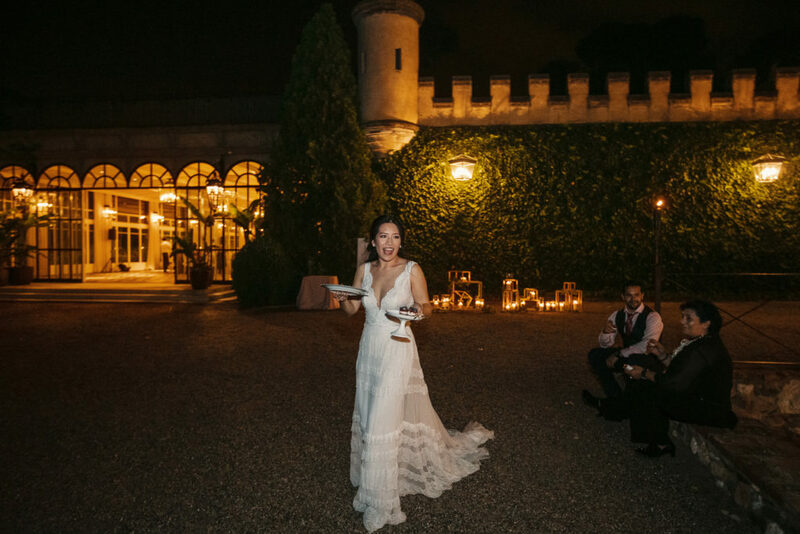 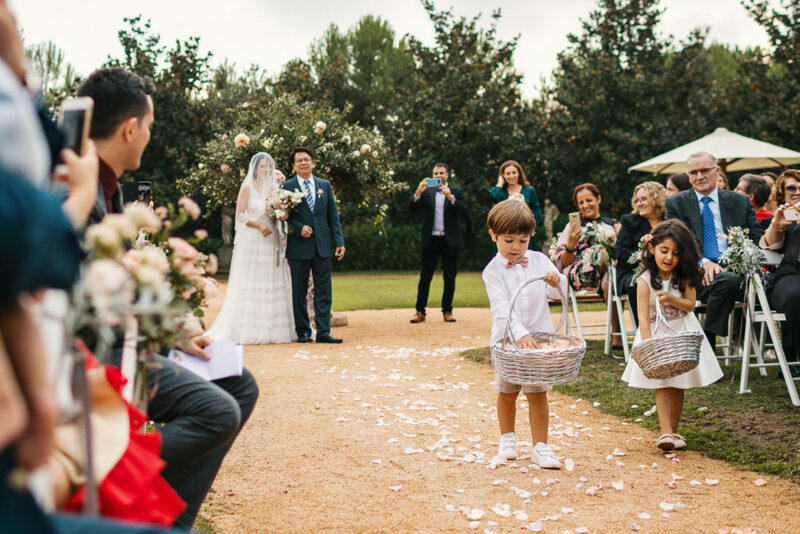 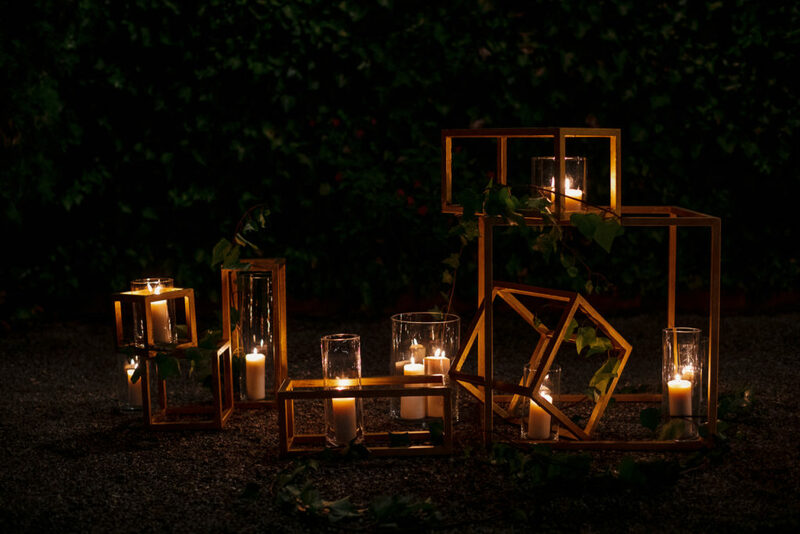 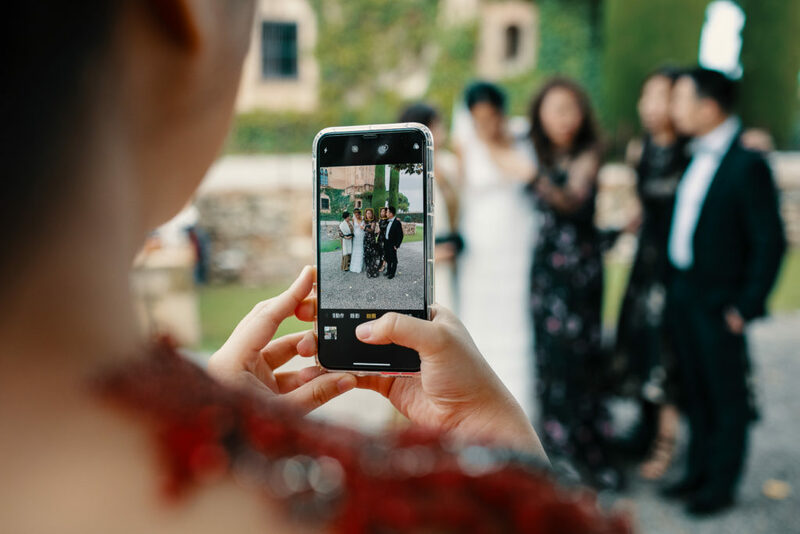 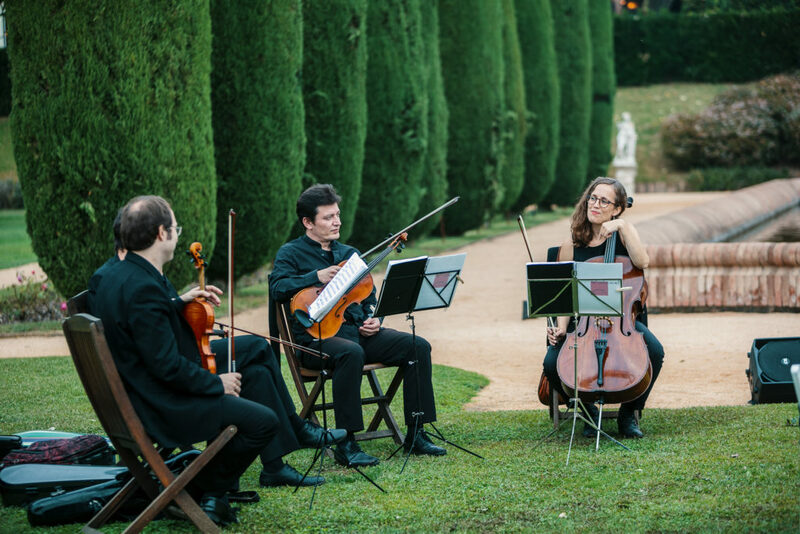 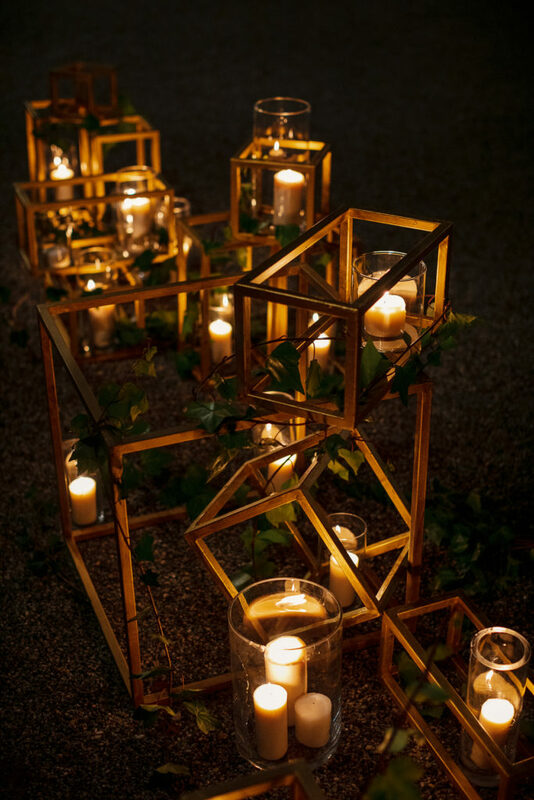 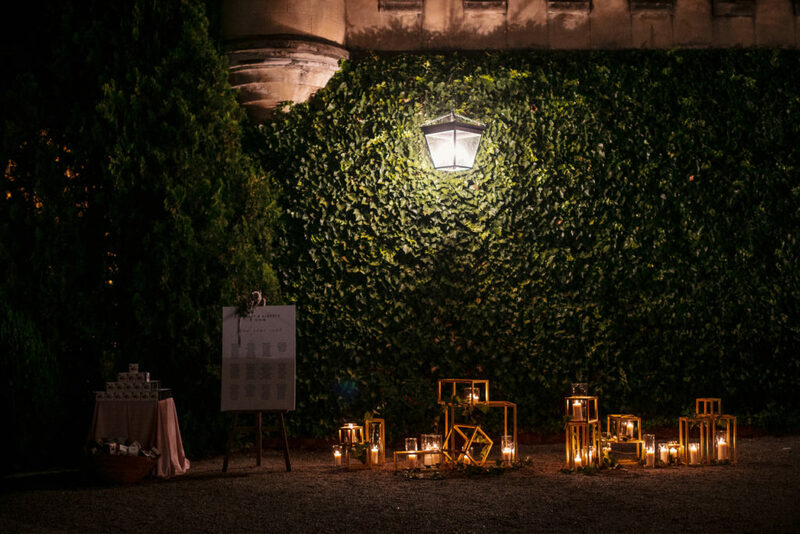 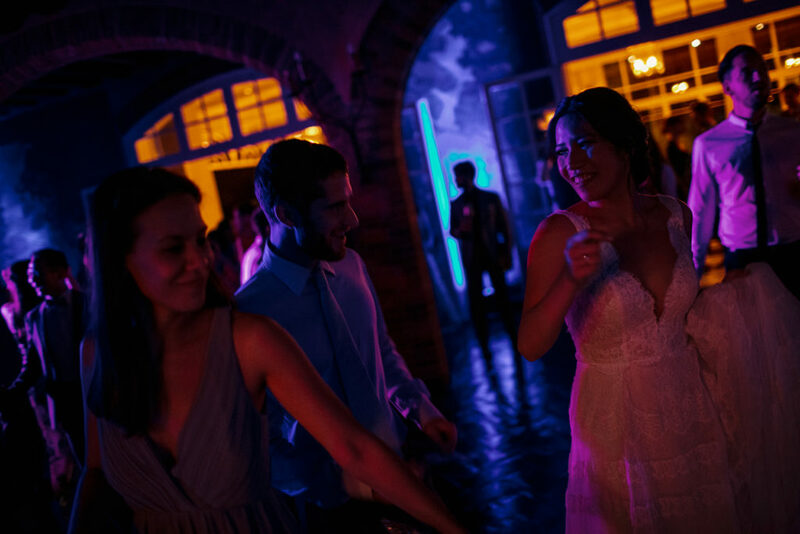 What was your favourite memory from your Barcelona wedding? 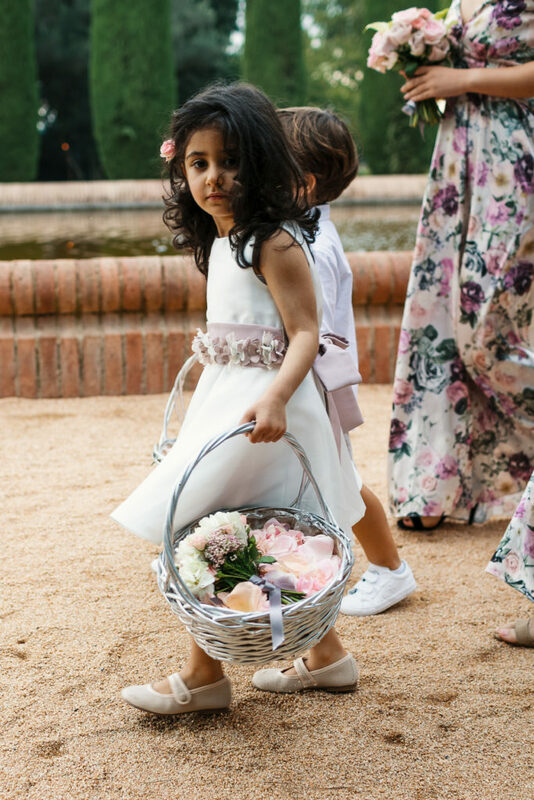 Having all our families and friends there. 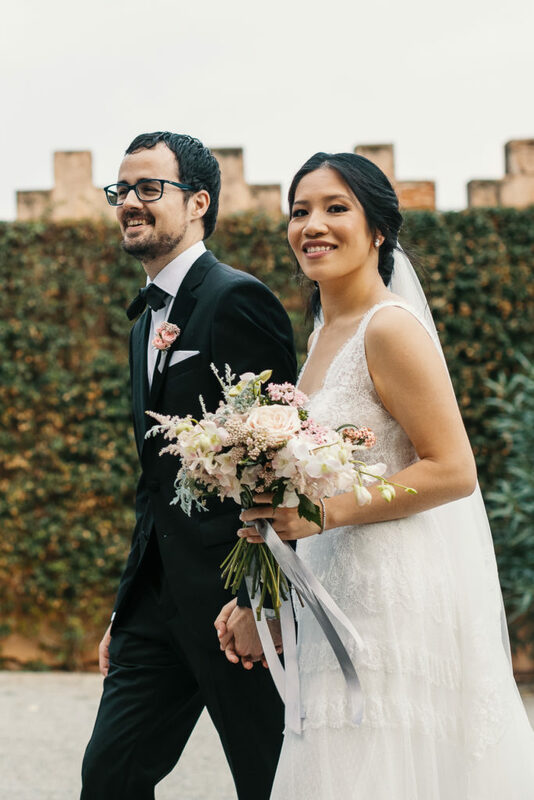 A lot of them made the trip to Barcelona just for our day so it made us feel very special! 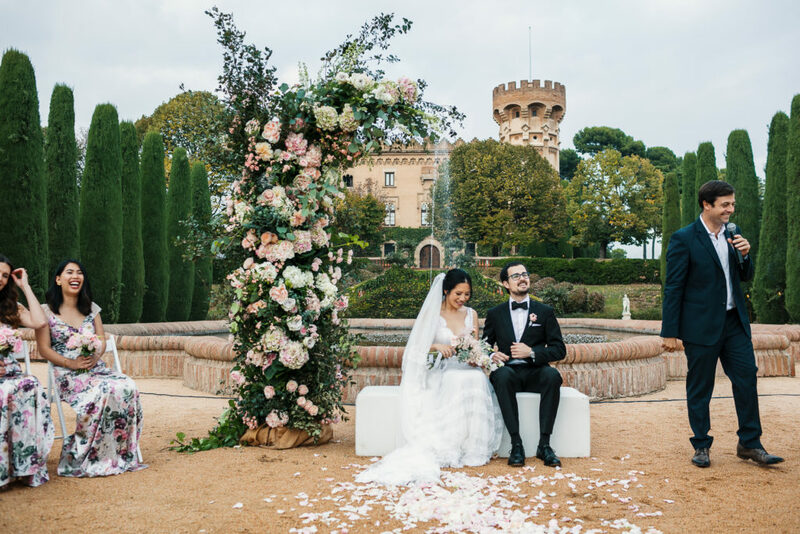 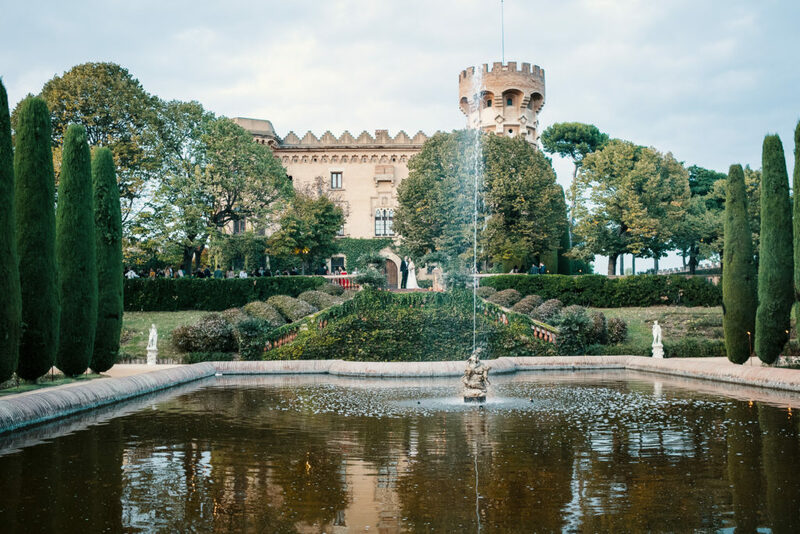 Why did you chose Barcelona as you wedding destination? 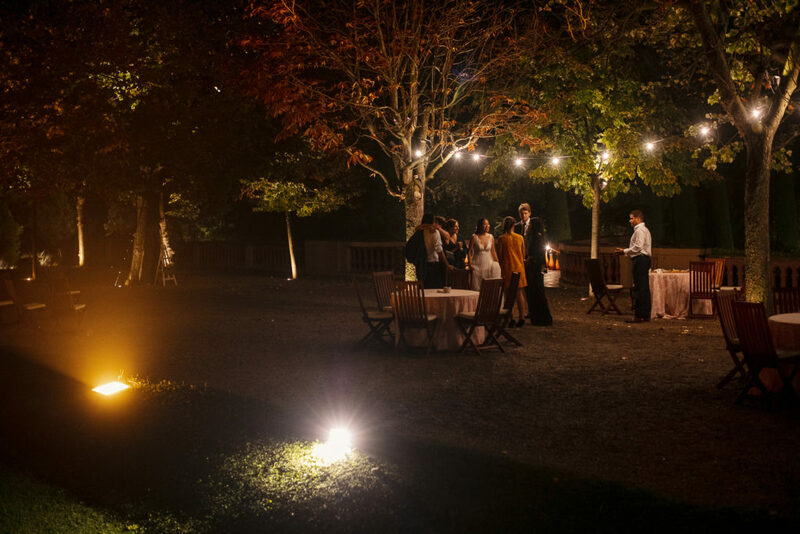 For its great weather, food and accessibility. 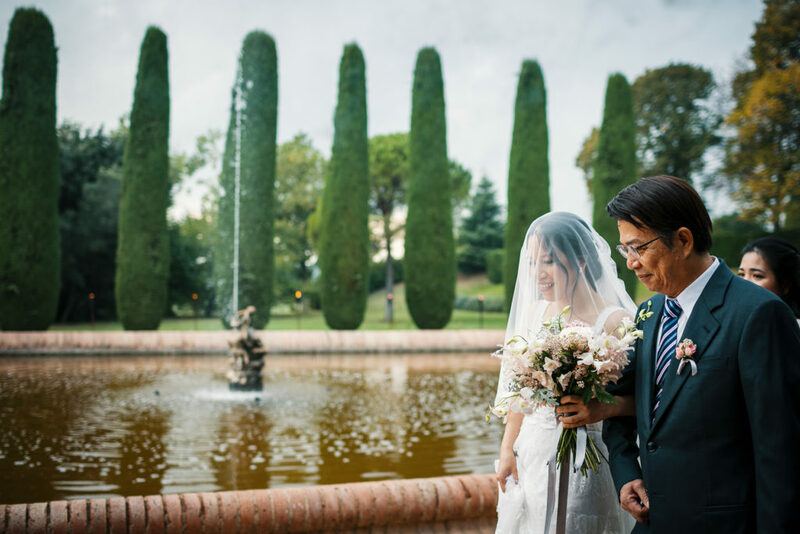 I find it to be a very romantic city. 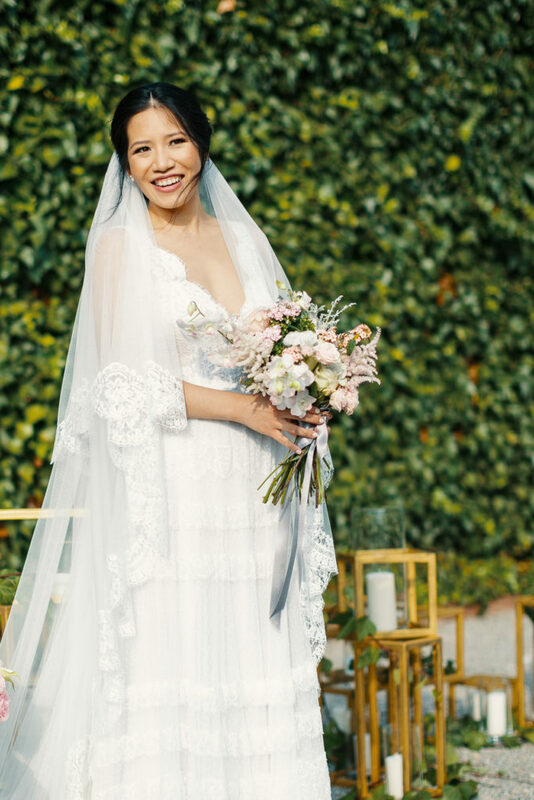 What did you love most about your wedding dress? 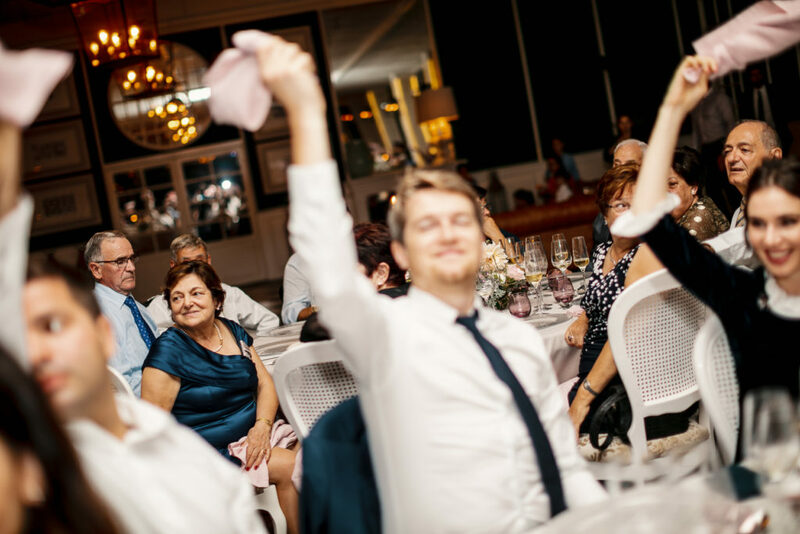 How and where did you find it? 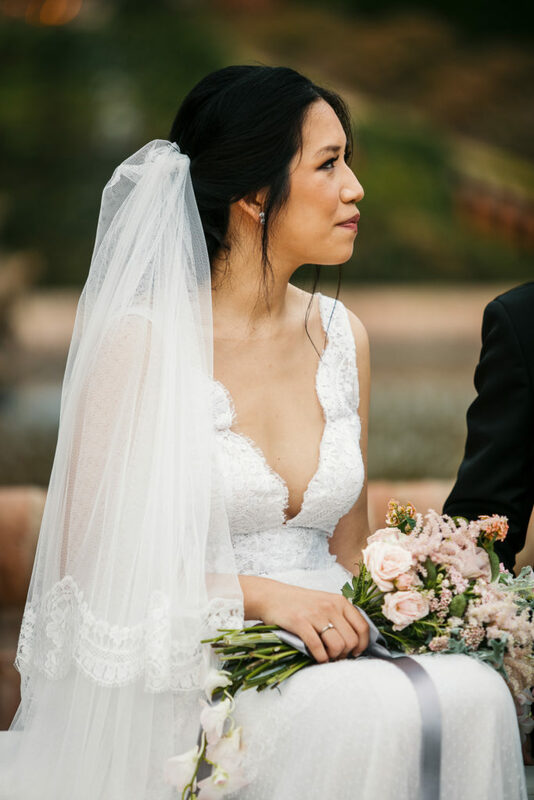 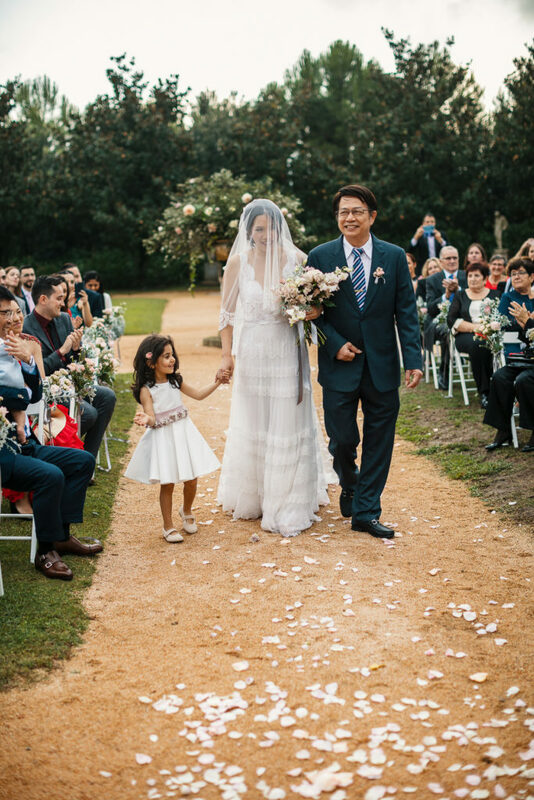 All that lace and tulle! 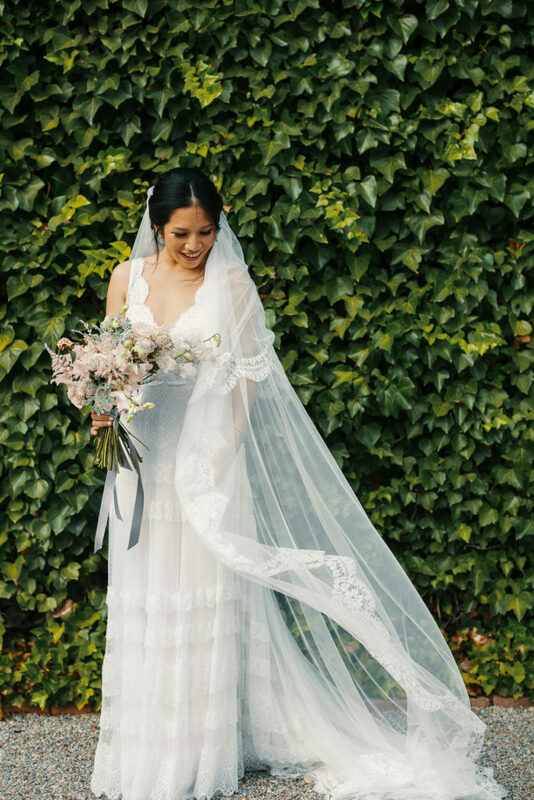 And of course my beautiful long veil. 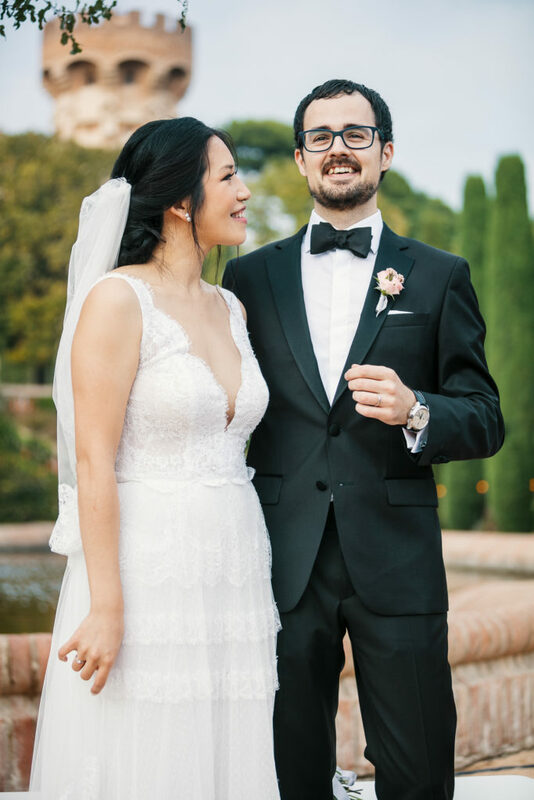 My dress was from Rosa Clara, a beautiful Spanish Bridal brand. 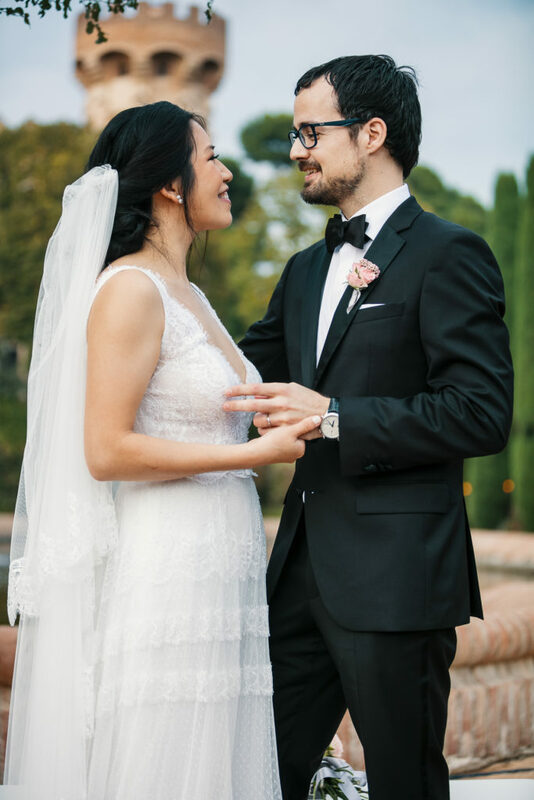 It was an instant purchase, I trusted my instinct. 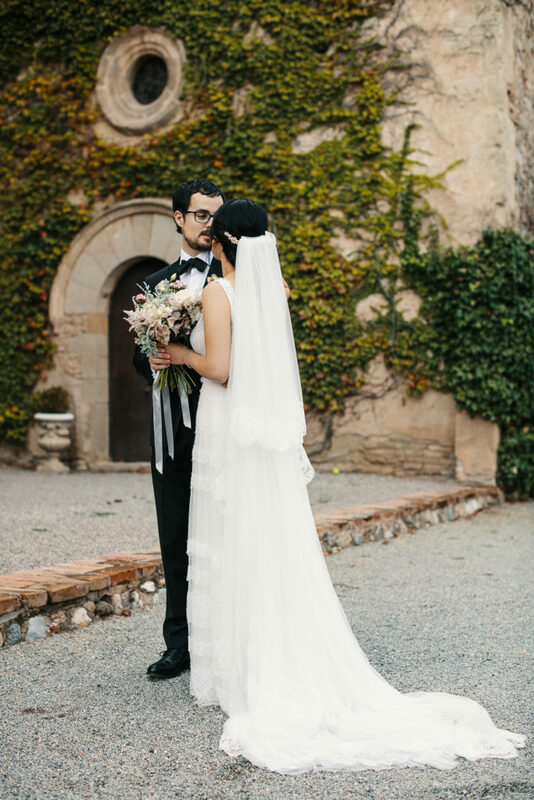 If you did it all again what might you change? 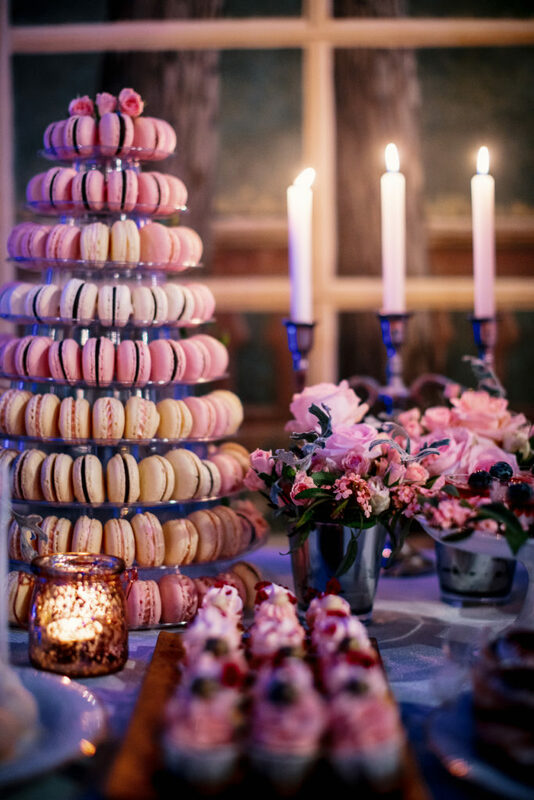 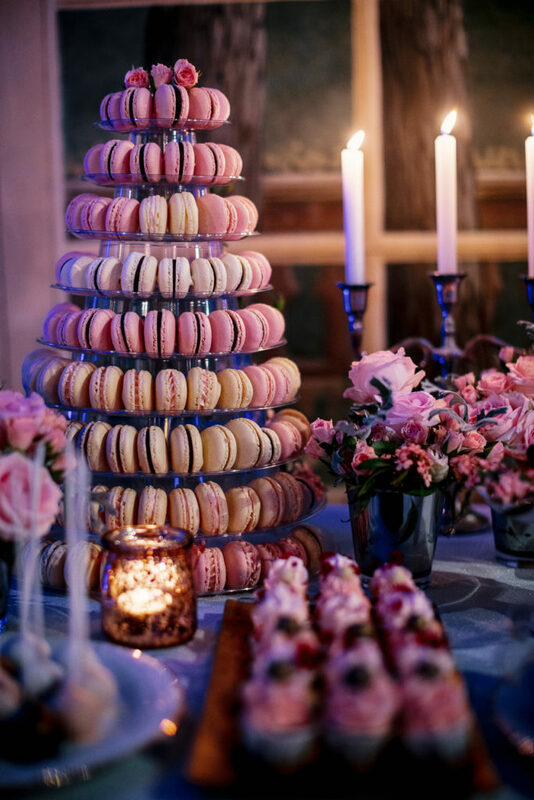 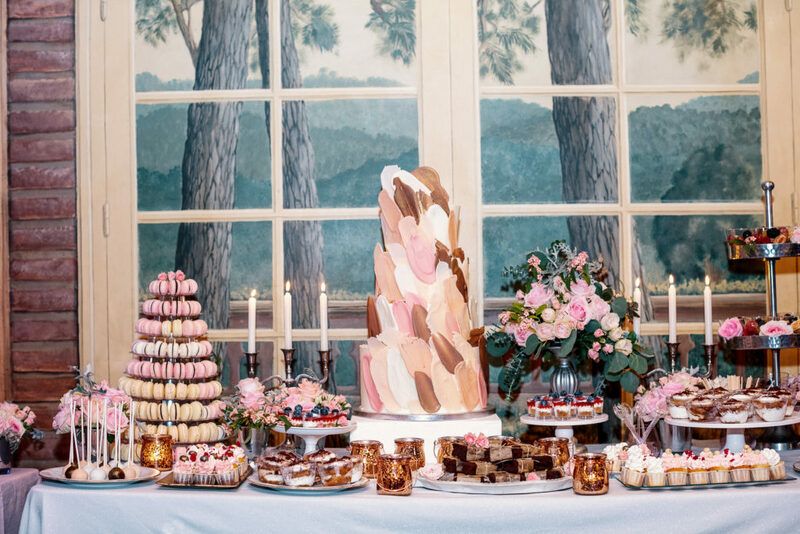 I was so sad that not all the guests got to taste the delicious, not to mention the prettiest desserts we had for the after party because people were already so full! 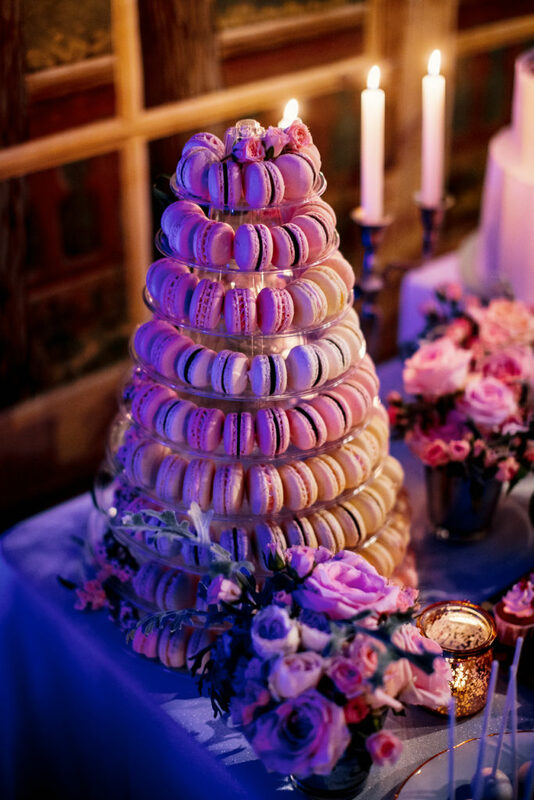 If I could go back in time I would make sure that all the guests could take some of that deliciousness home with them! 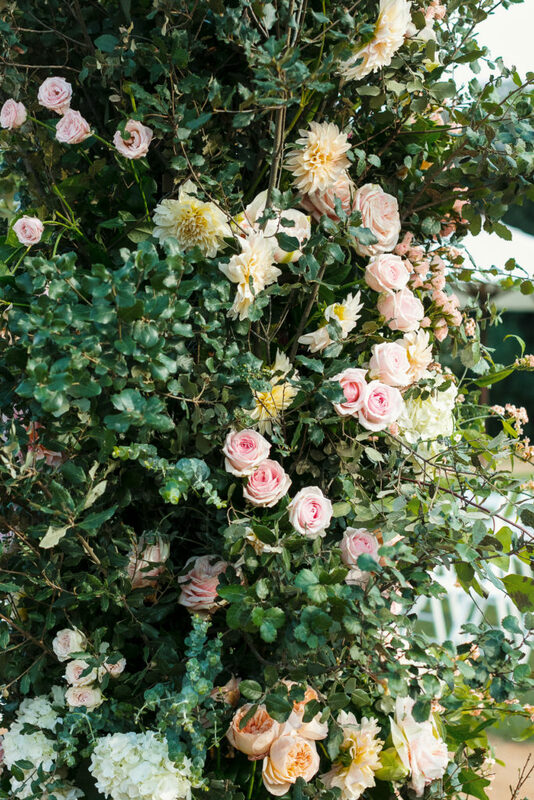 Tell us about the blooms. 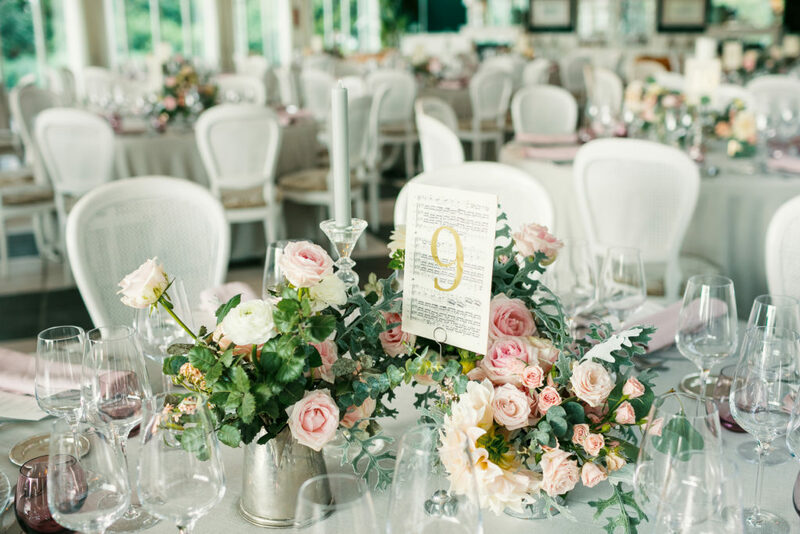 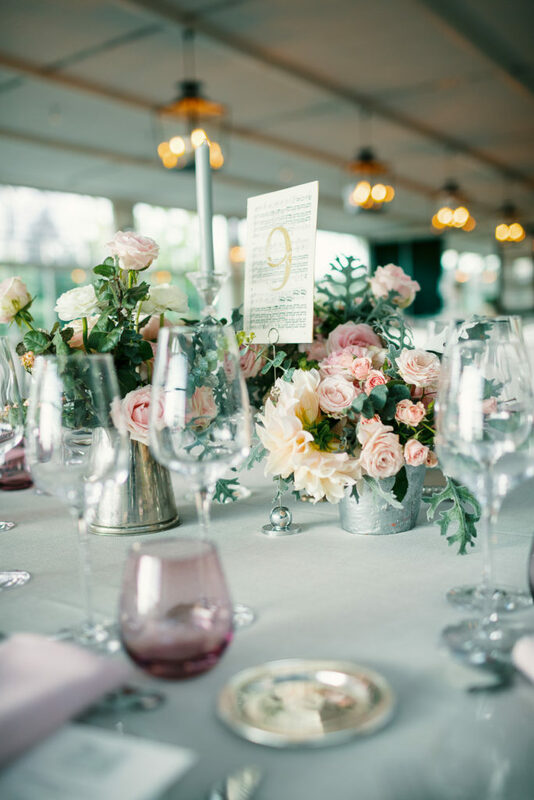 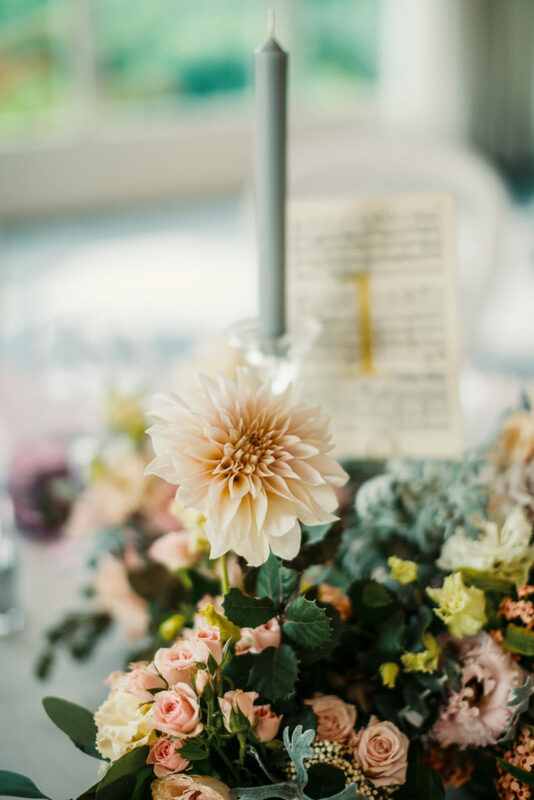 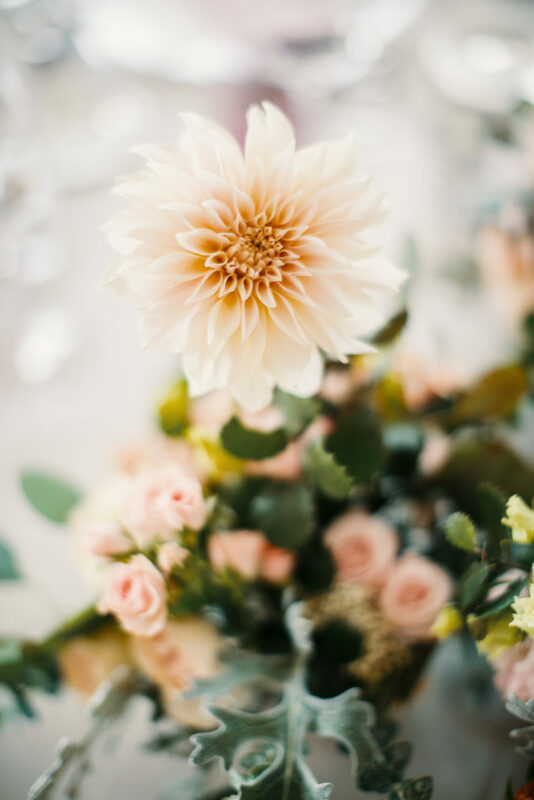 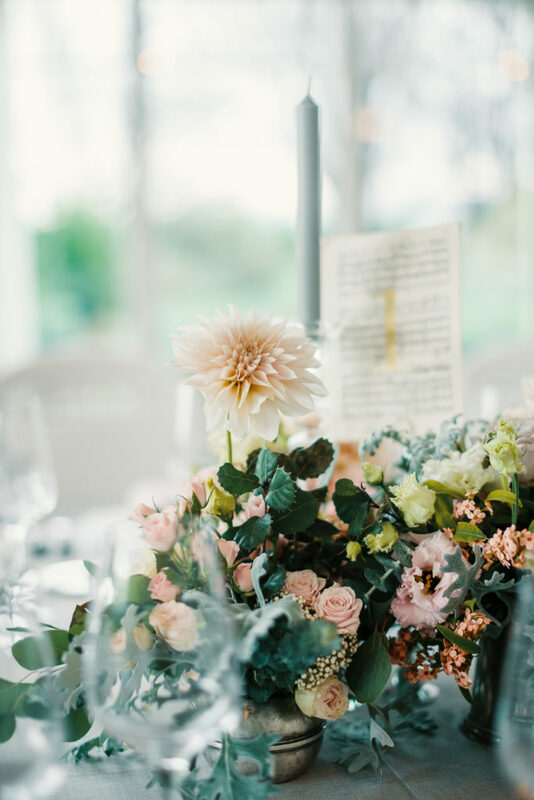 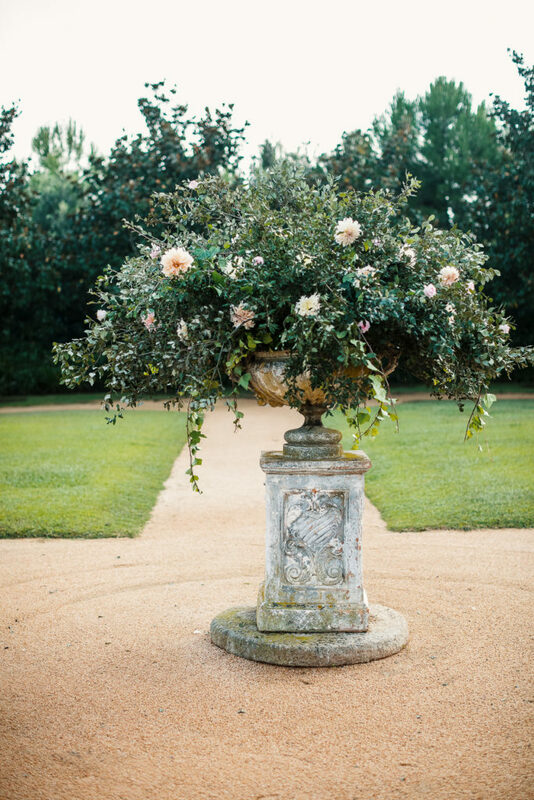 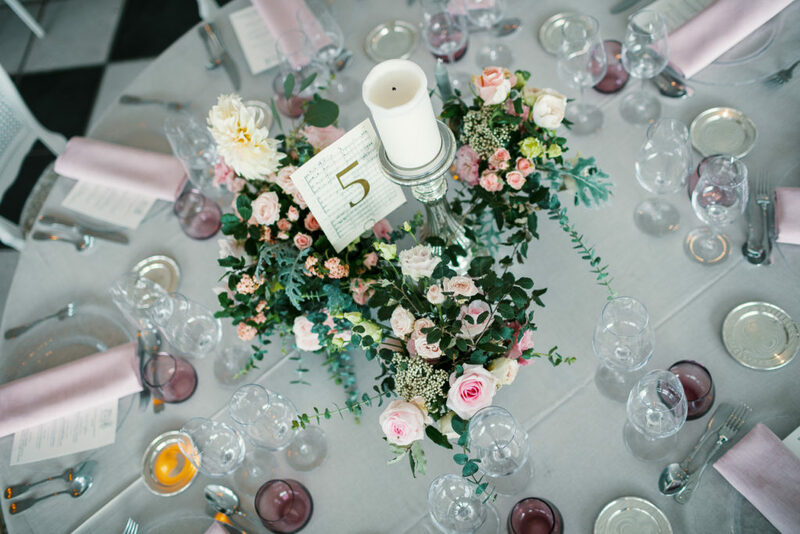 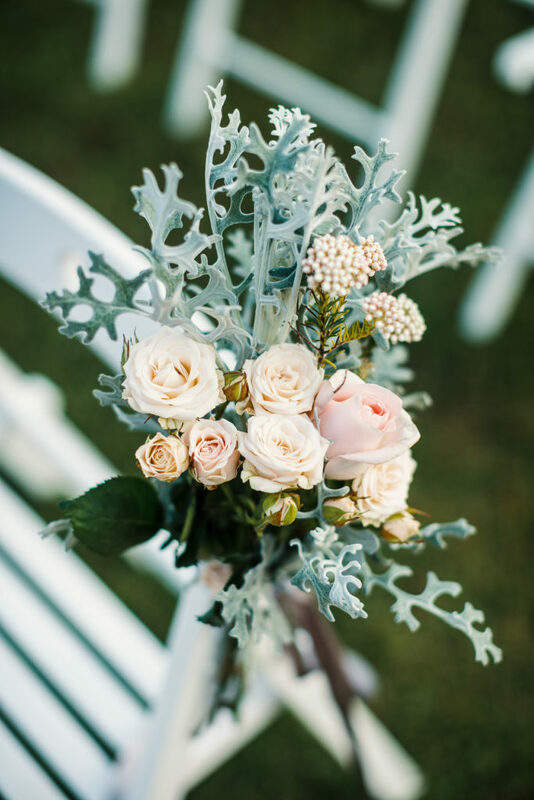 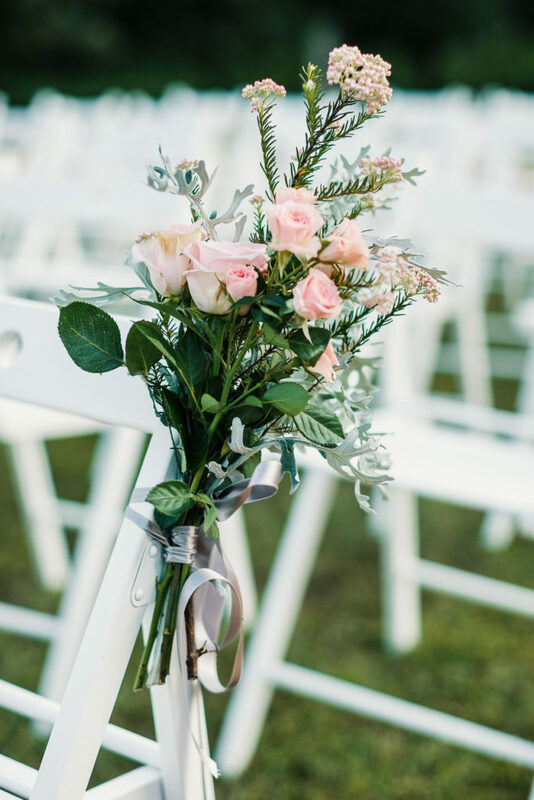 What was your favourite thing about your wedding flowers? 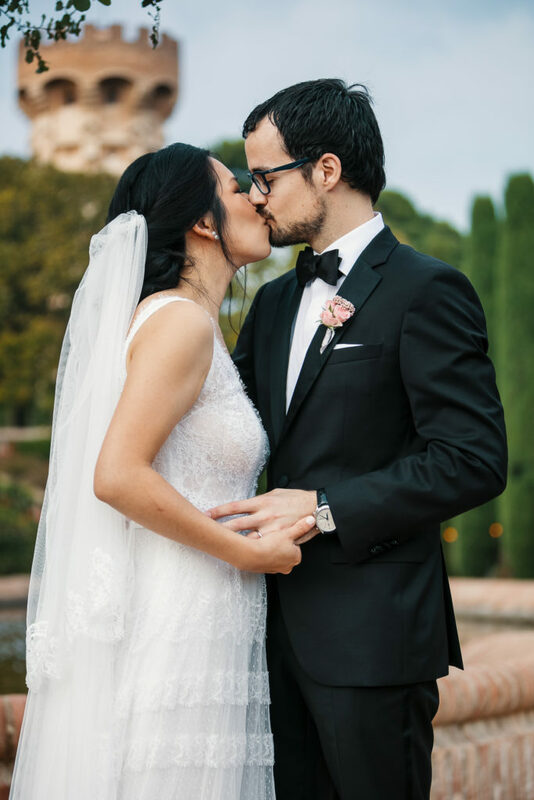 Everything! 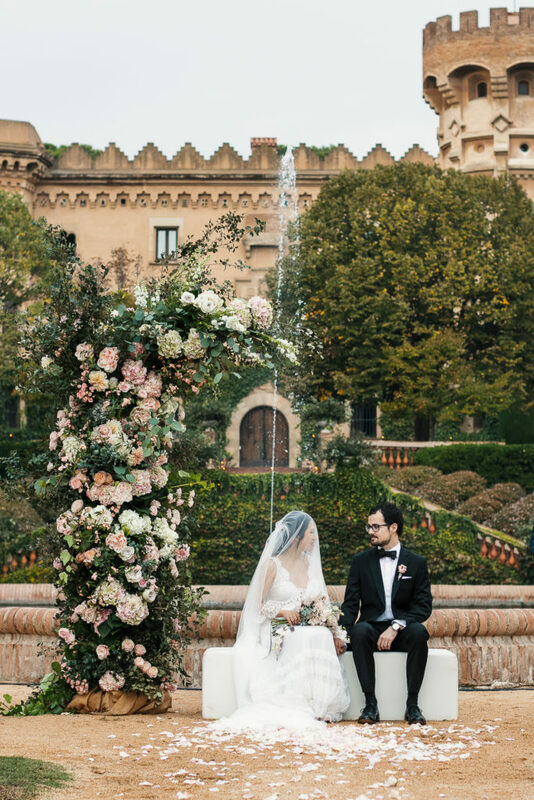 The colours, the big and dramatic arch, my bouquet. 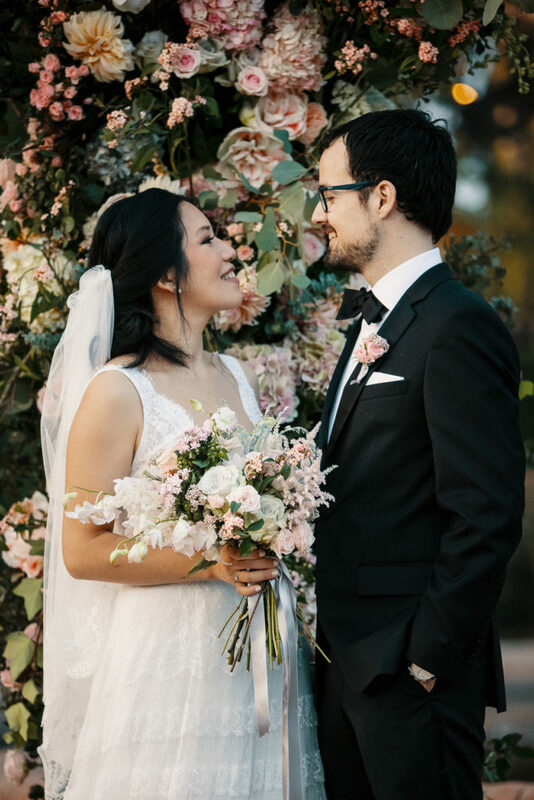 Having the right flowers was so important to me I think I spent my entire decor budget on them and I have no regrets. 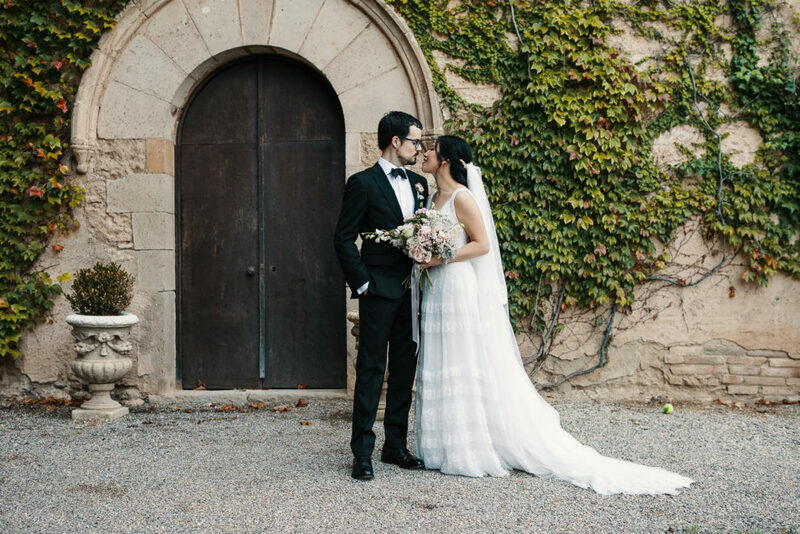 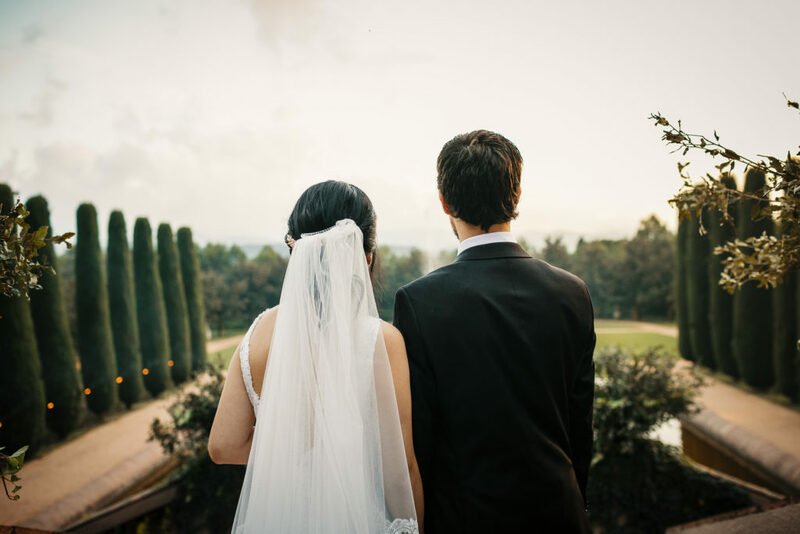 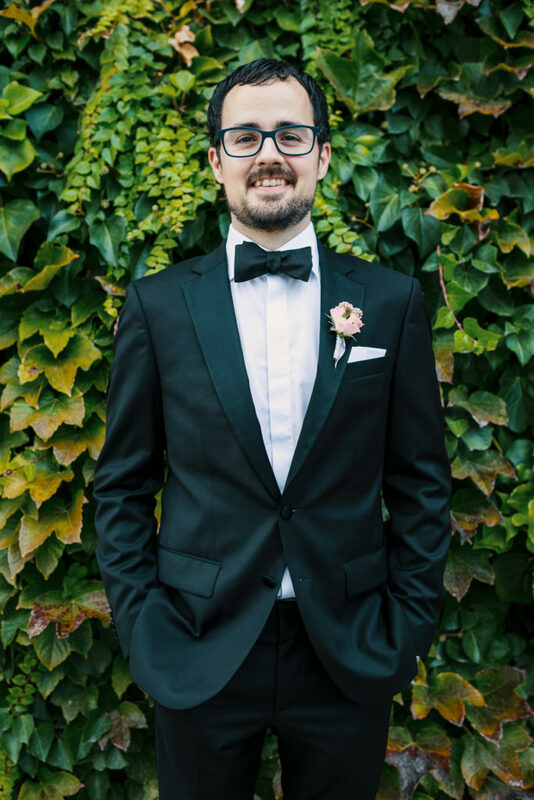 What is your advice for other couples getting married in Barcelona? 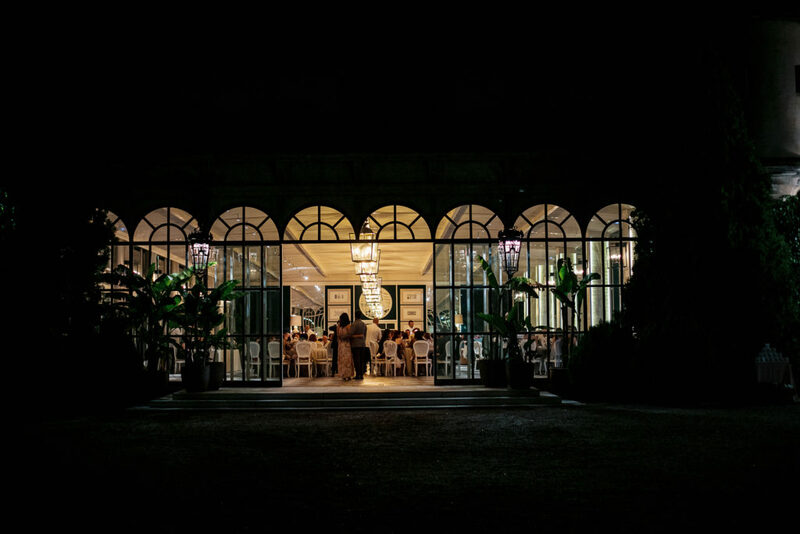 Lock down the venue at least 12 months in advance. 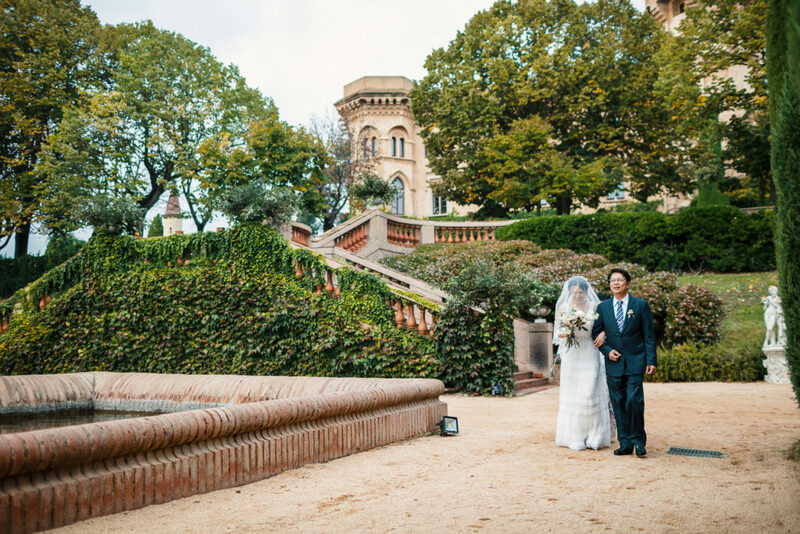 Consider the guests and accommodation options. 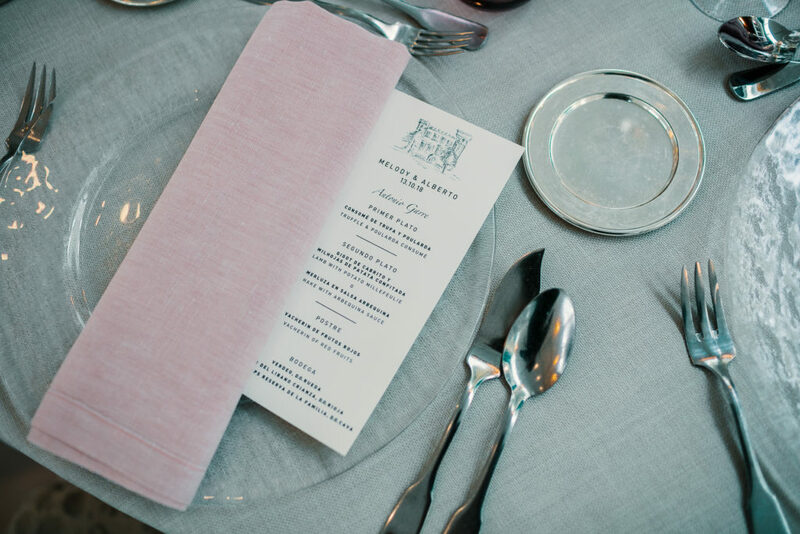 Notify guests well in advance. 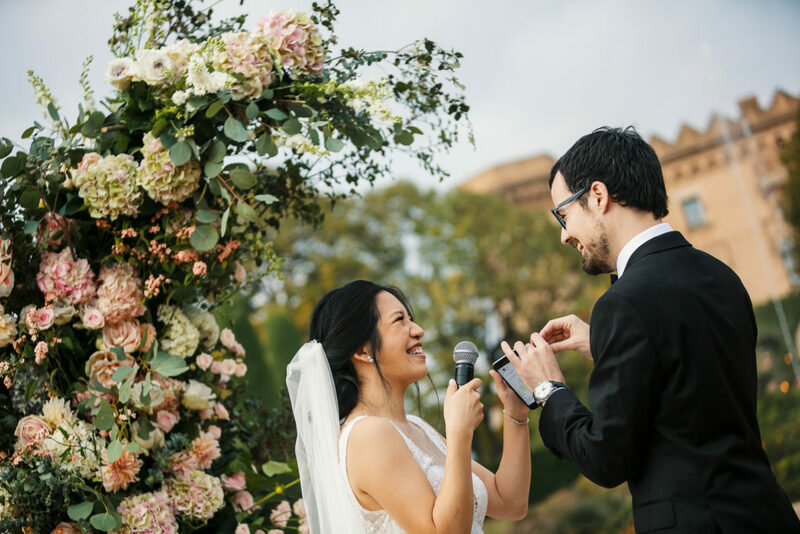 If you don’t pick peak season you can bring down the costs a bit. 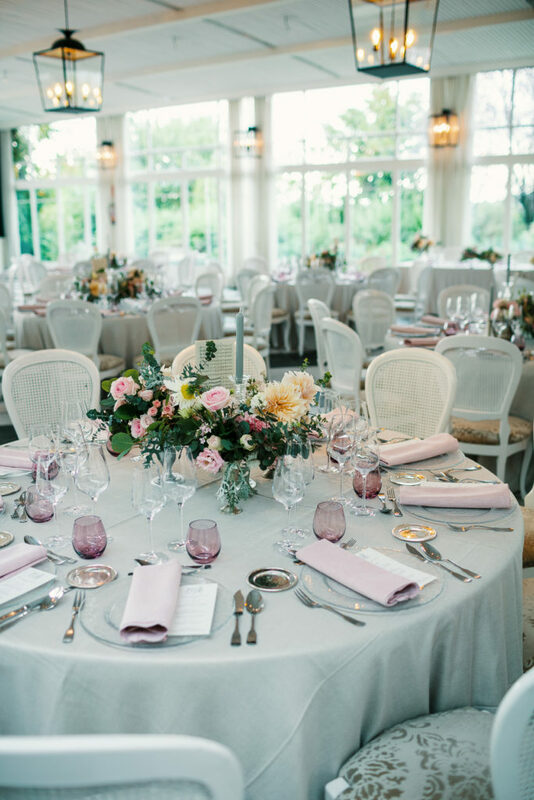 Hire a professional wedding planner. 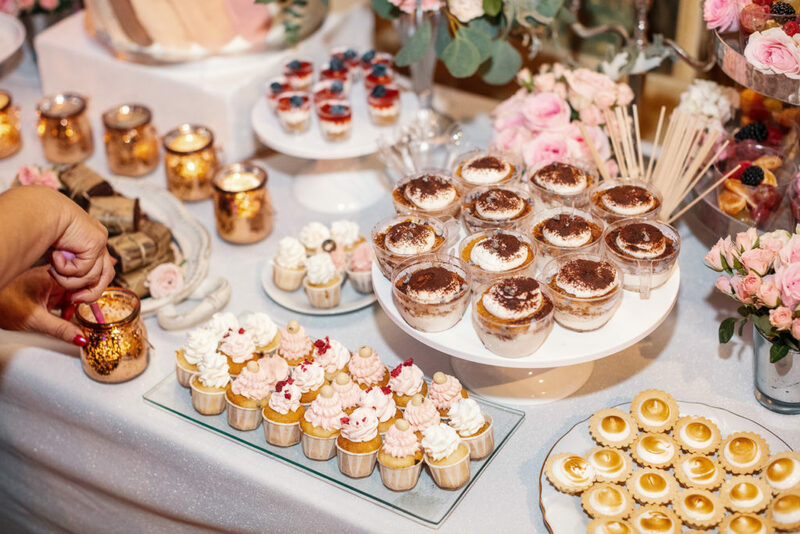 Pick your vendors in person, especially catering. 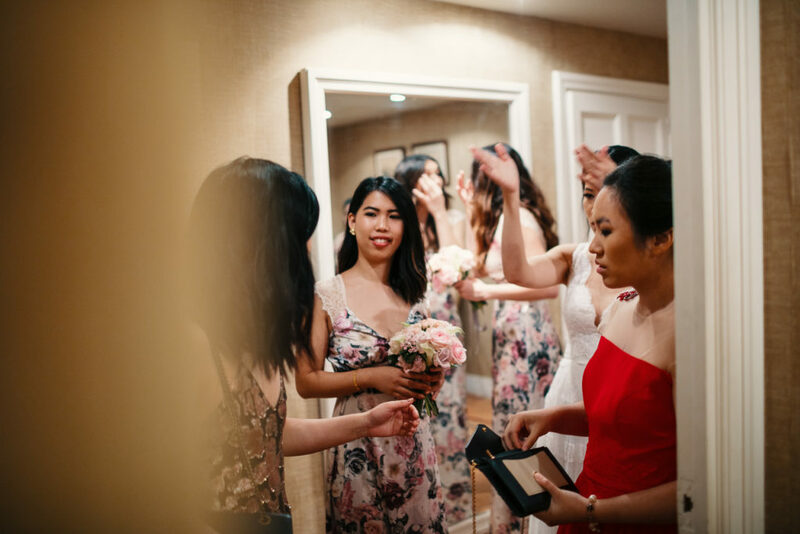 Do a hair and make up trial. 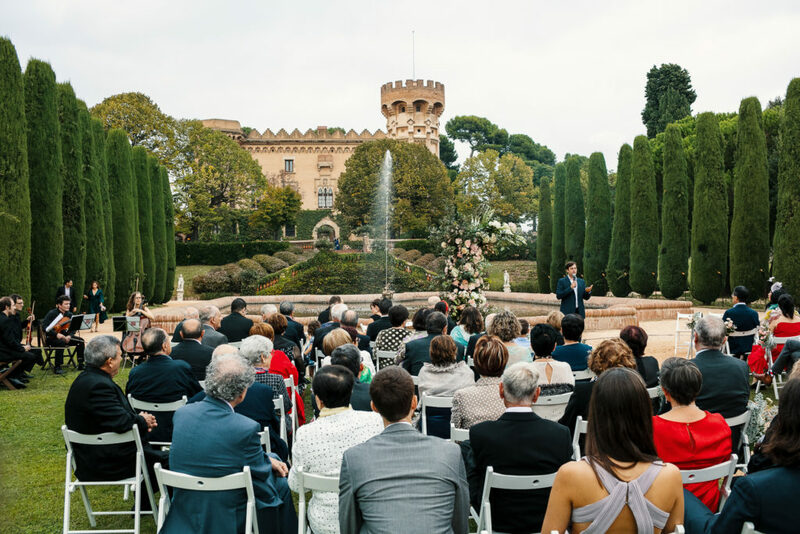 To find out more about weddings in Barcelona contact us at Barcelona Brides.